Bishop Ken Good has spoken of the sense of responsibility he feels as a result of the sacrificial bravery of so many people from Ireland, North and South, who fought – and in many cases died – in the First World War. 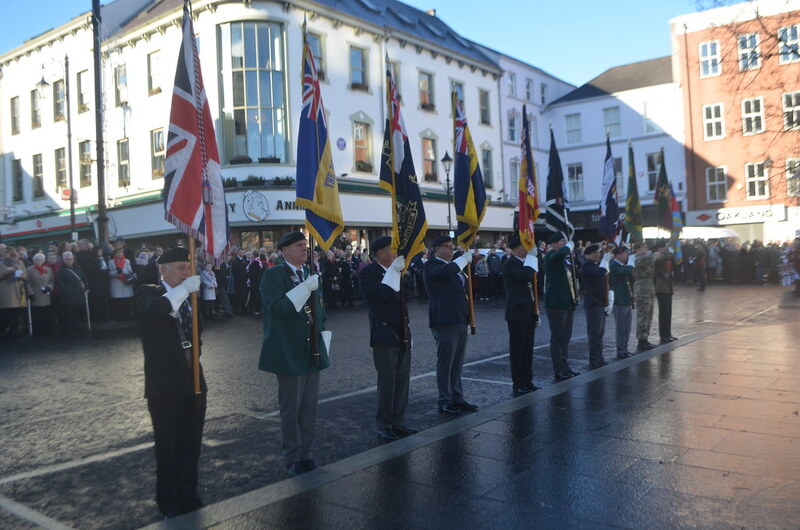 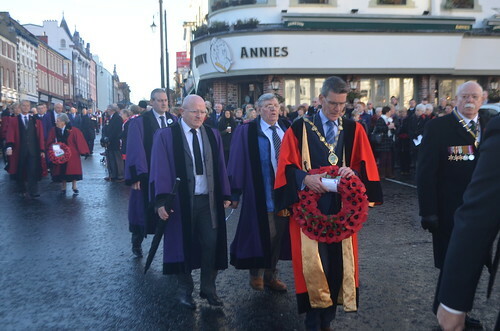 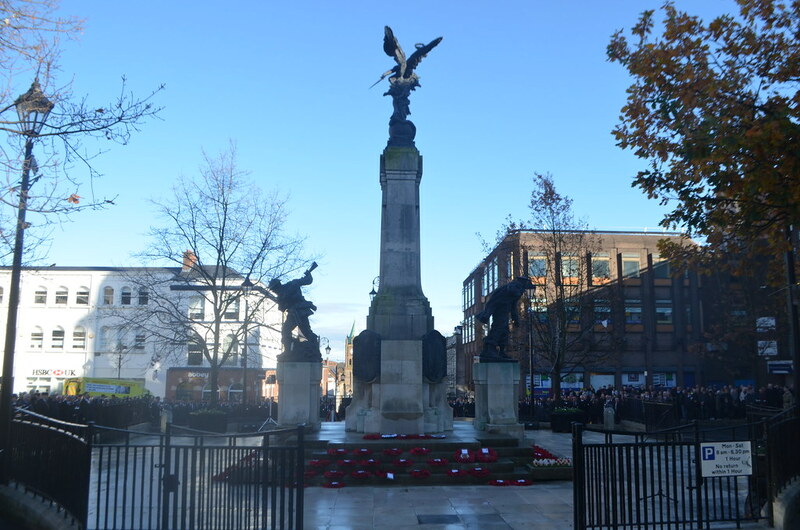 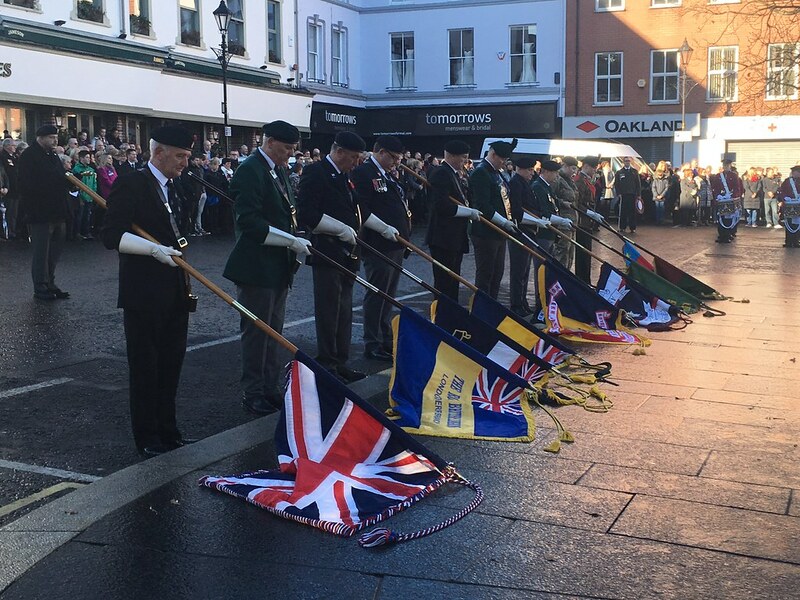 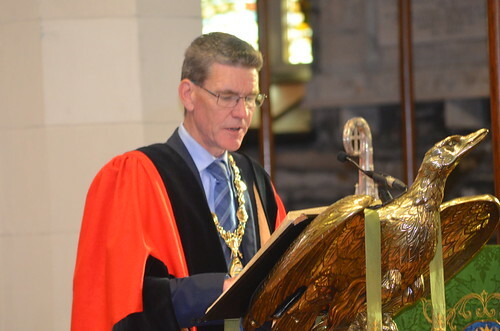 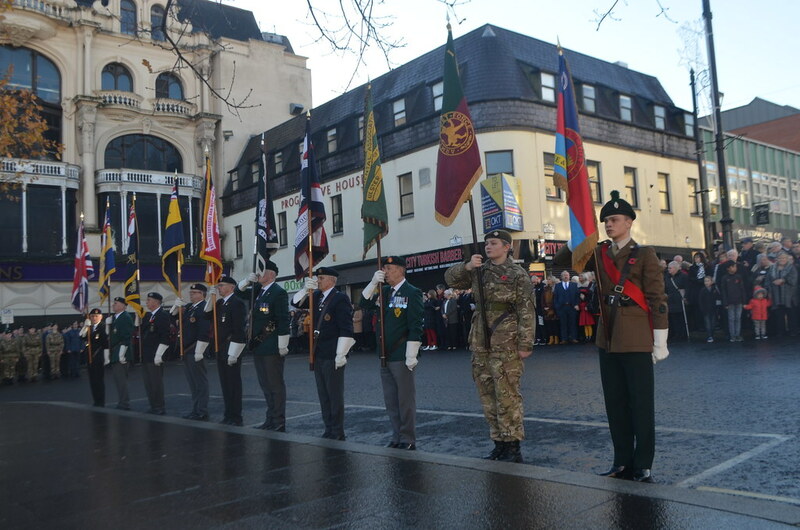 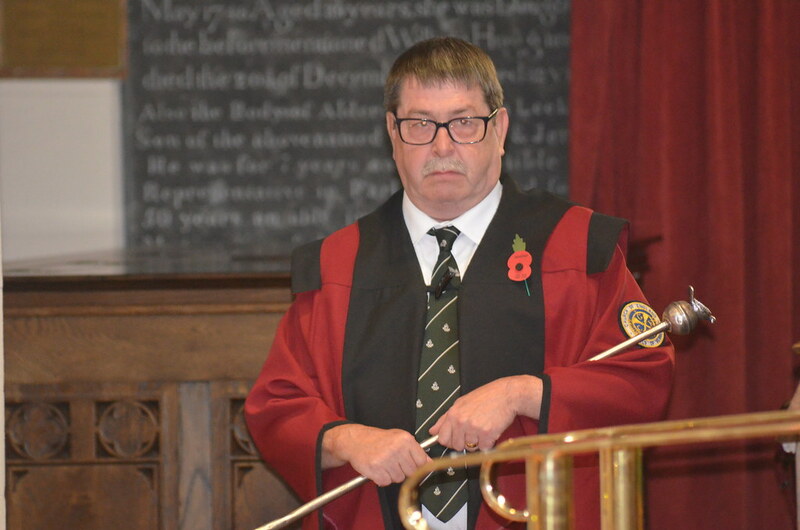 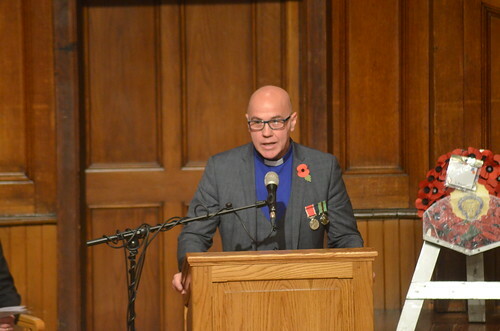 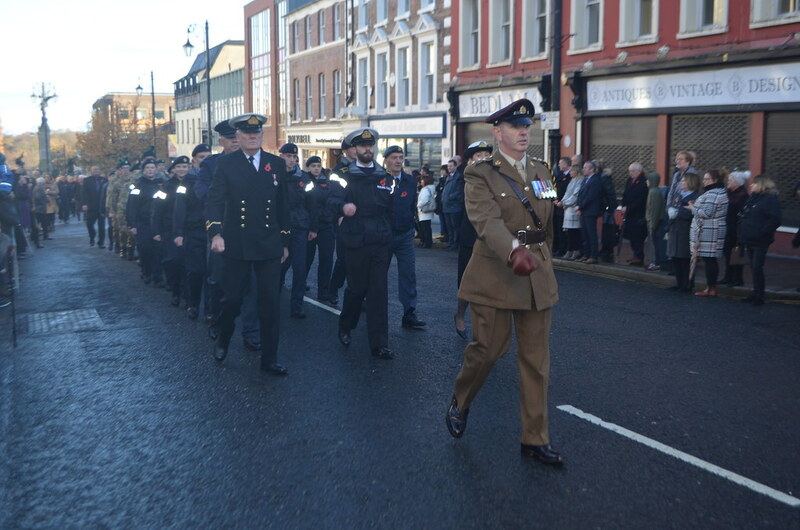 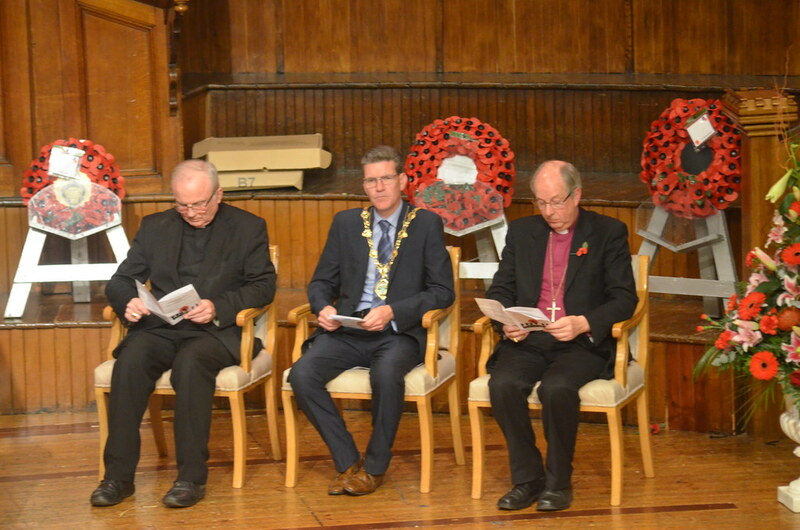 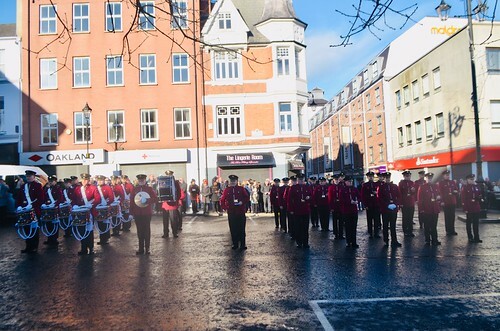 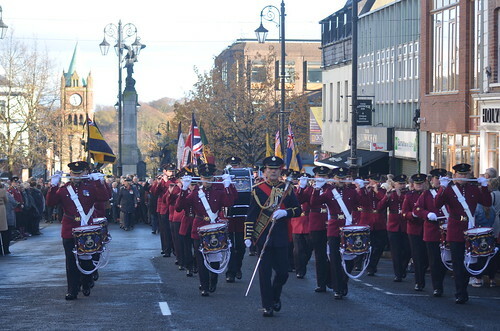 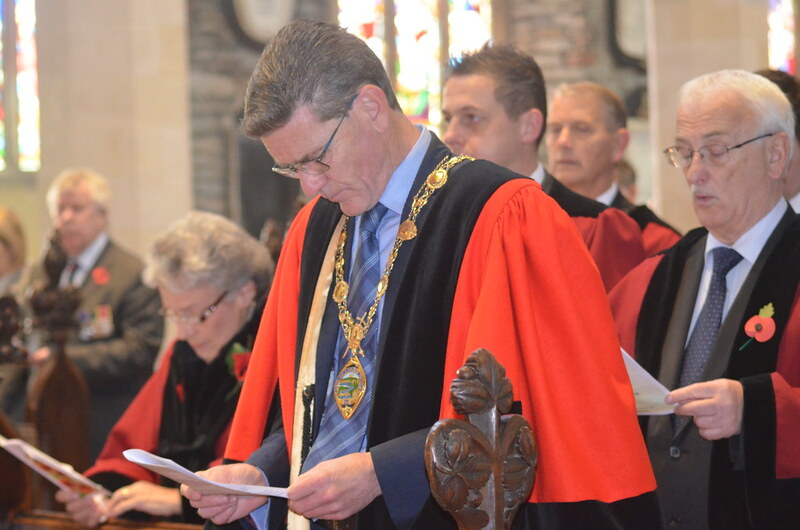 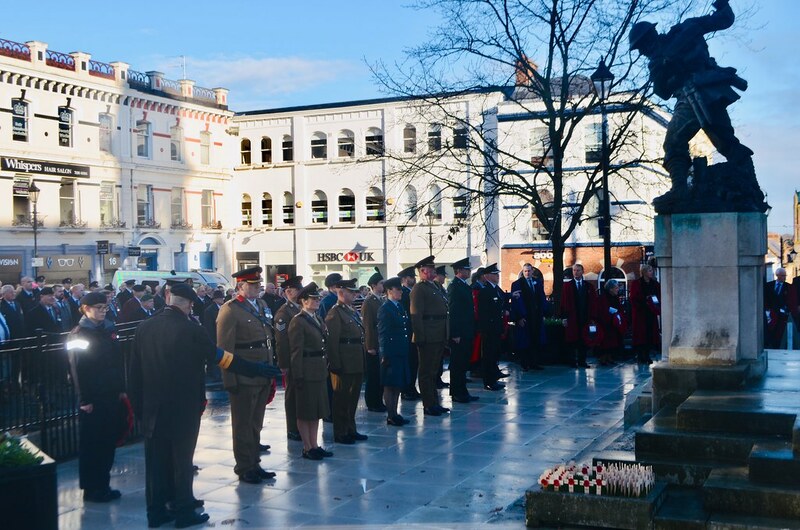 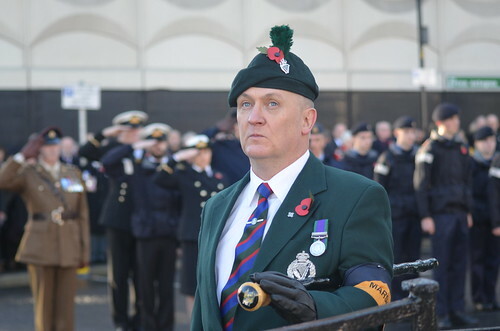 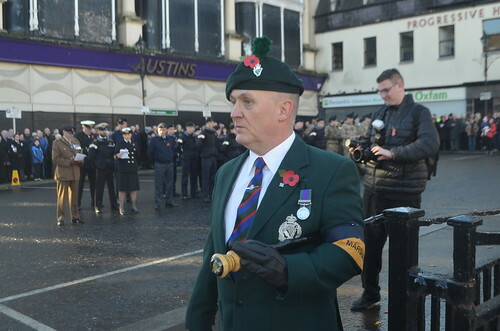 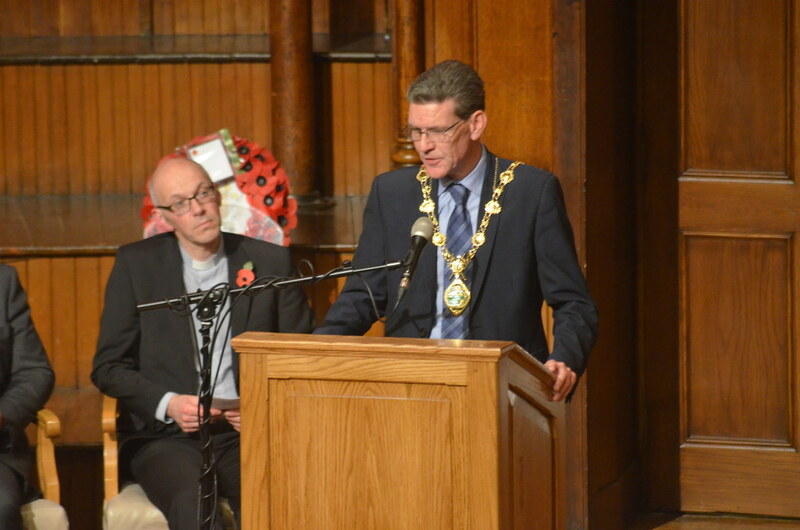 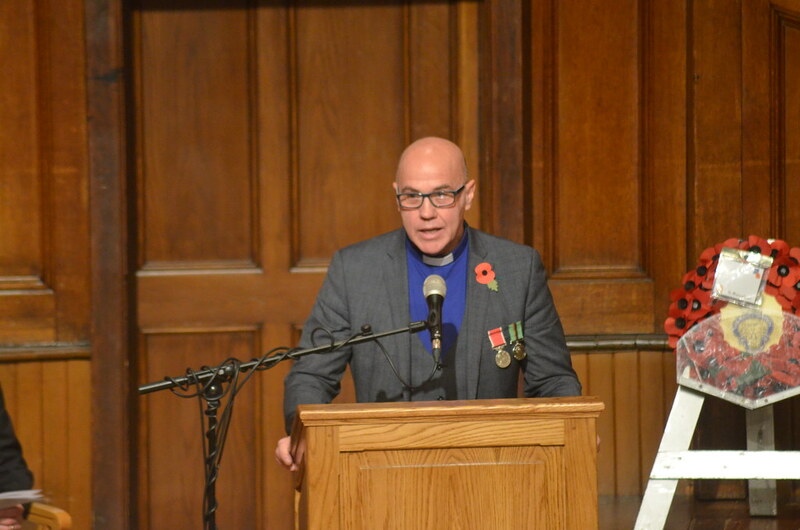 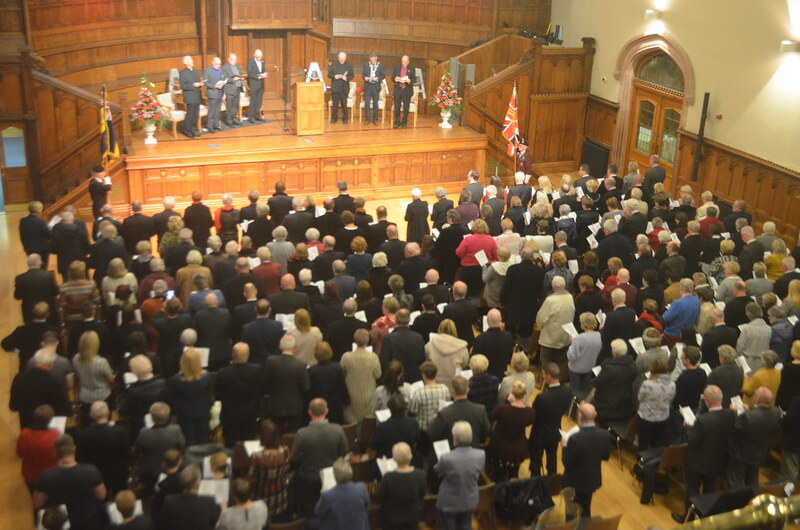 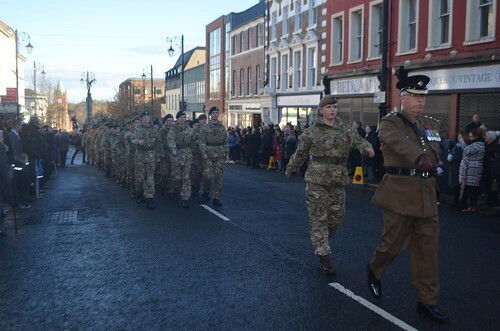 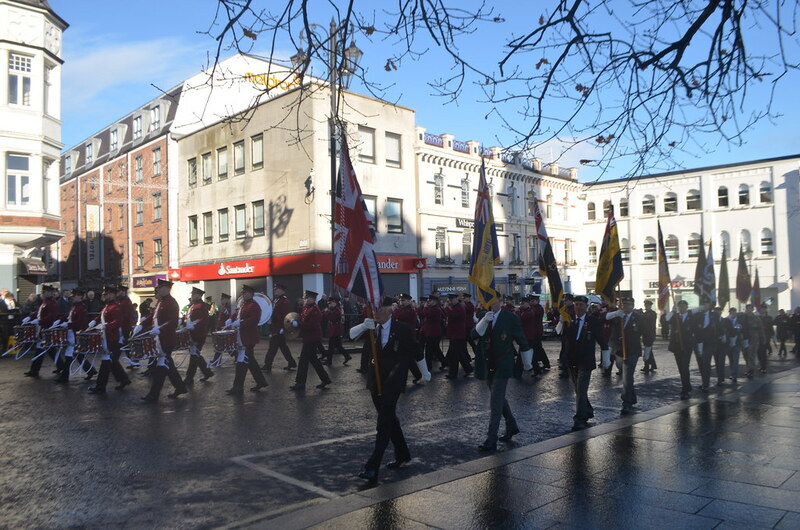 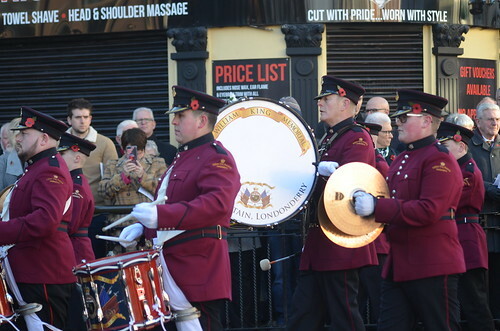 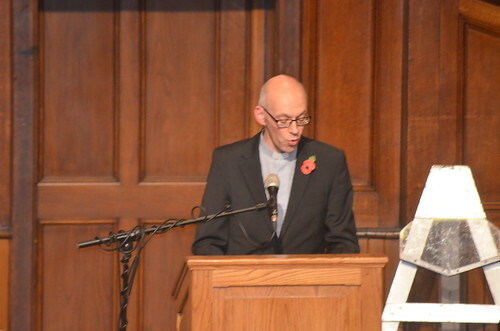 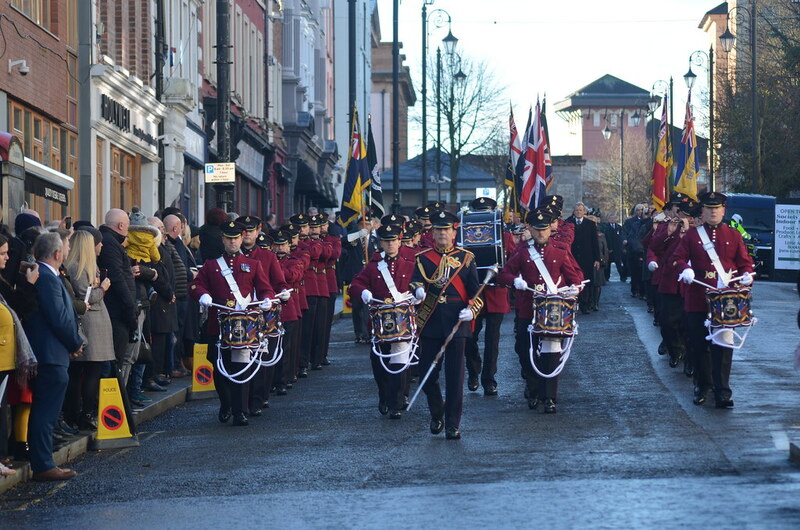 He was delivering a reflection at an Interdenominational Service in Londonderry’s Guildhall organised by the Mayor of Derry and Strabane District, Councillor John Boyle, to commemorate the 100th anniversary of the 1918 Armistice, which marked the end of the Great War. 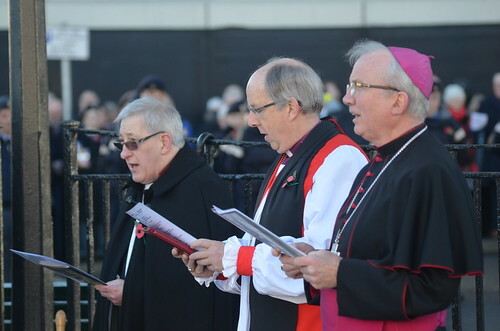 Church of Ireland clergy were prominently involved in centenary Services and events in the city. 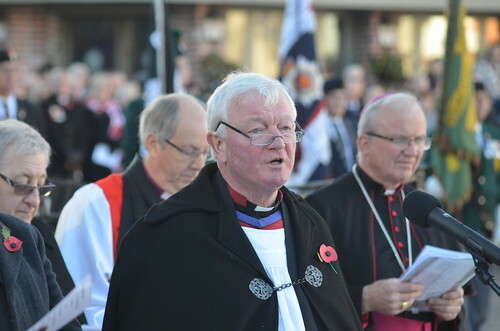 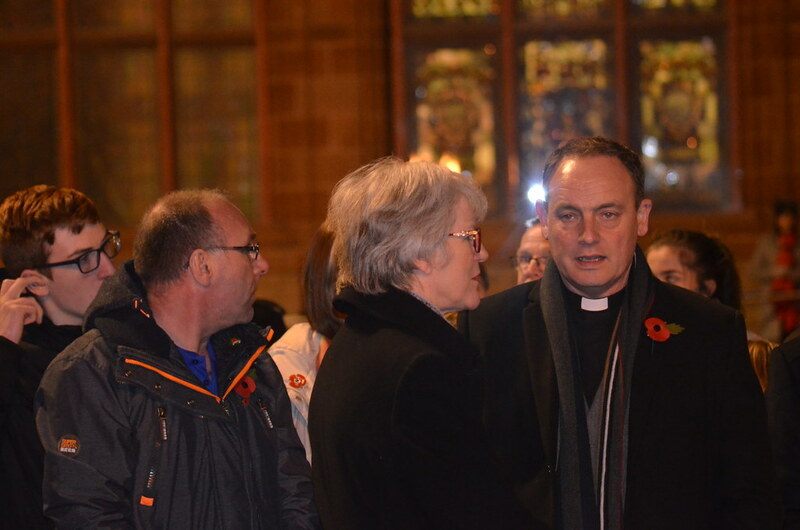 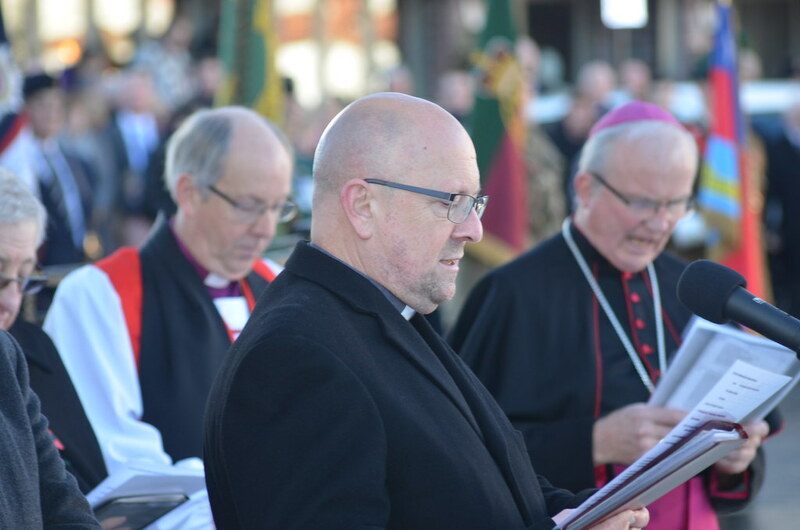 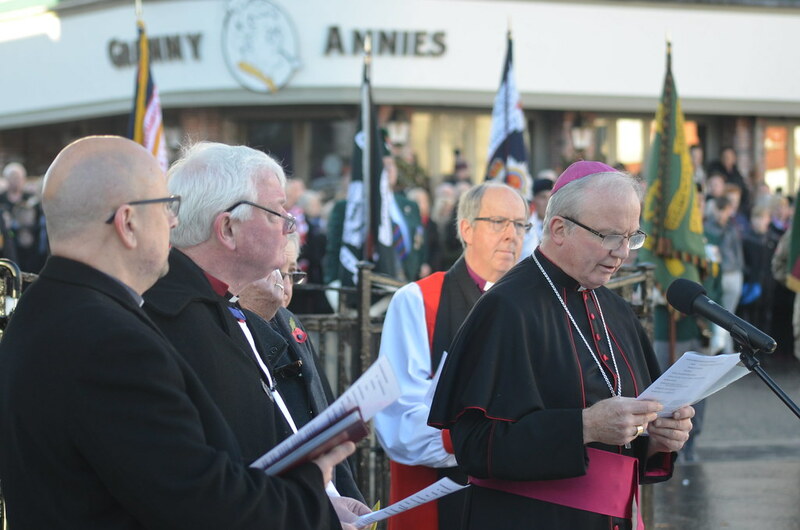 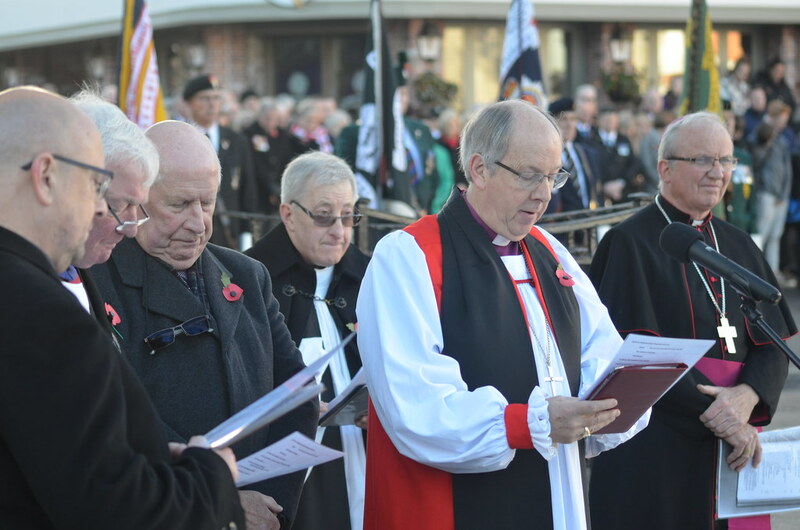 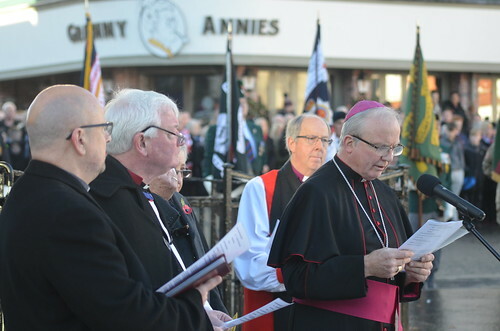 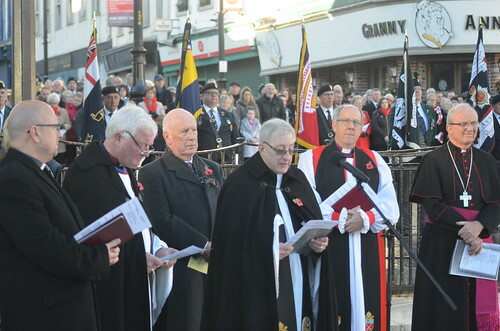 The Dean of Derry, Very Rev Raymond Stewart, led prayers at Sunday morning’s official Remembrance ceremony at the cenotaph in the Diamond. 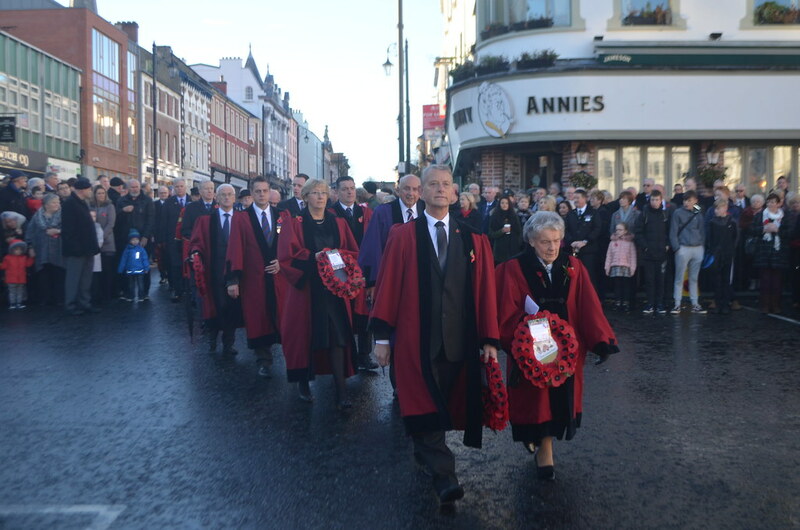 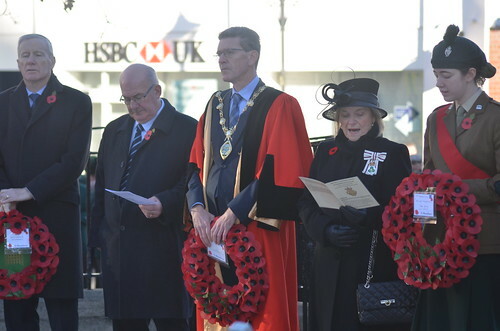 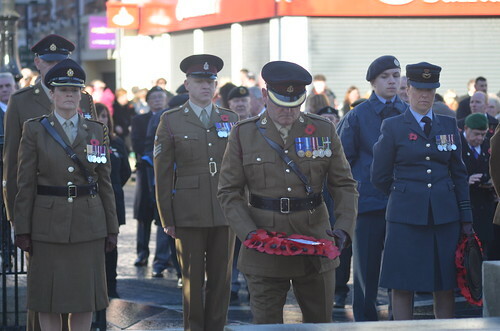 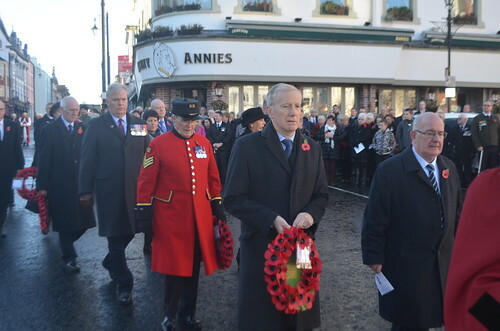 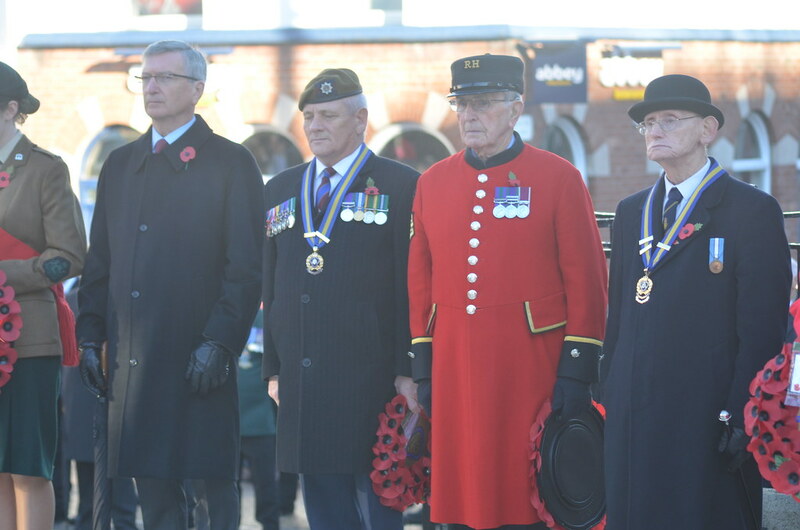 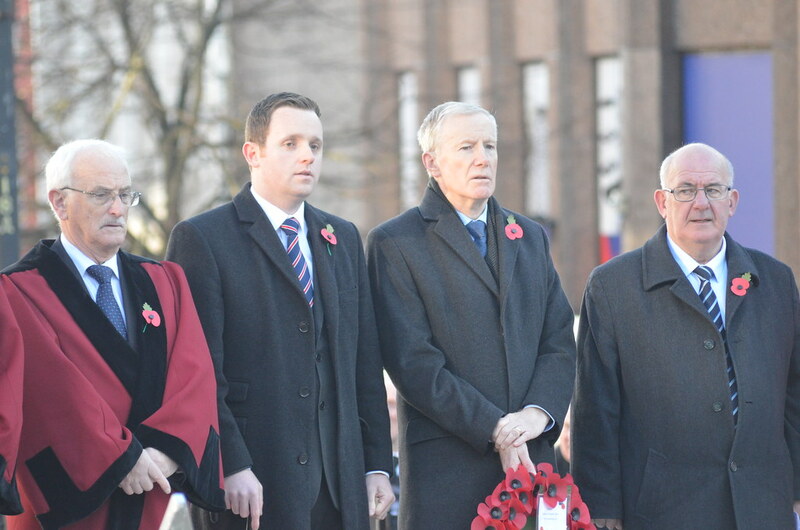 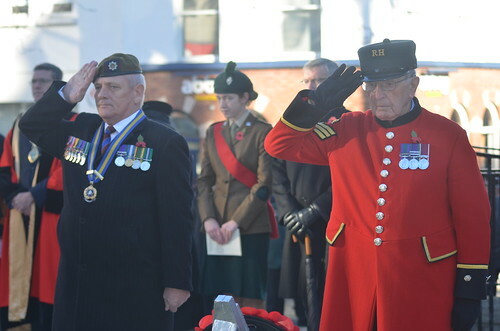 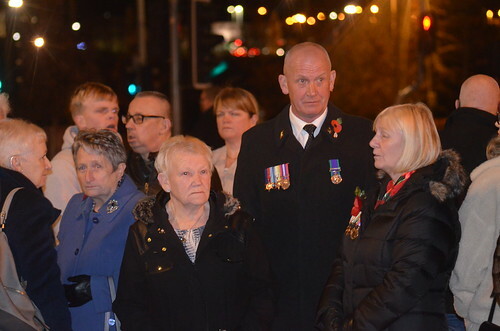 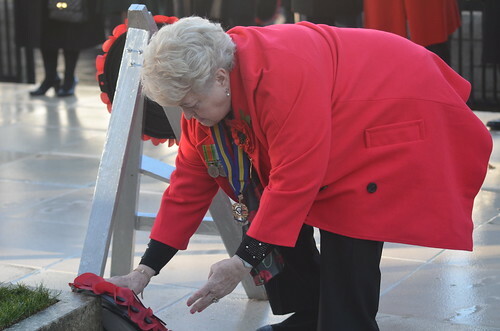 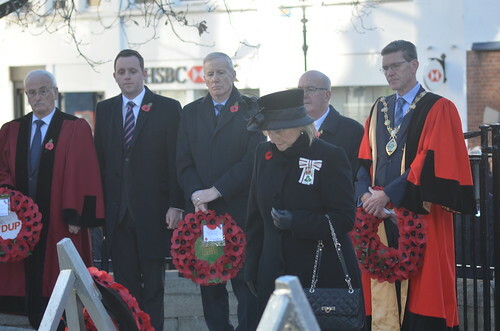 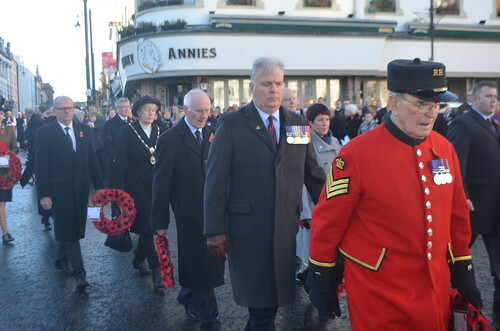 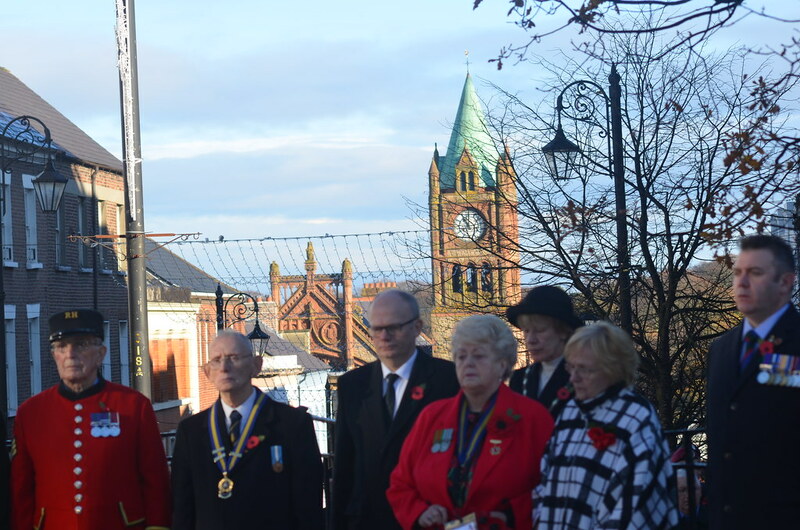 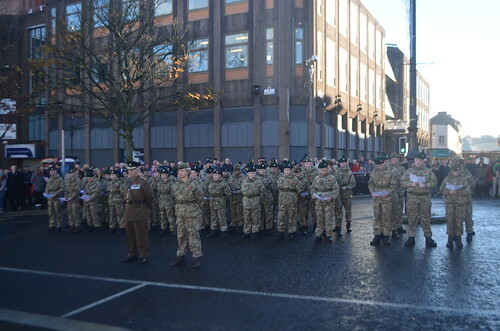 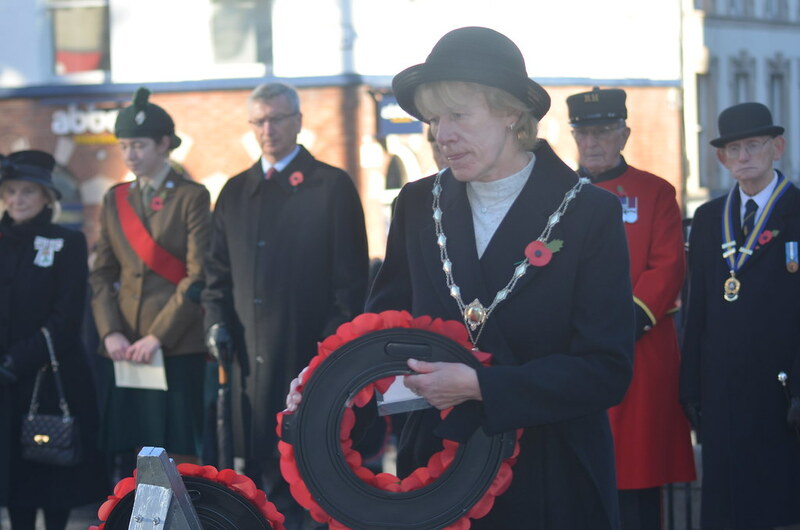 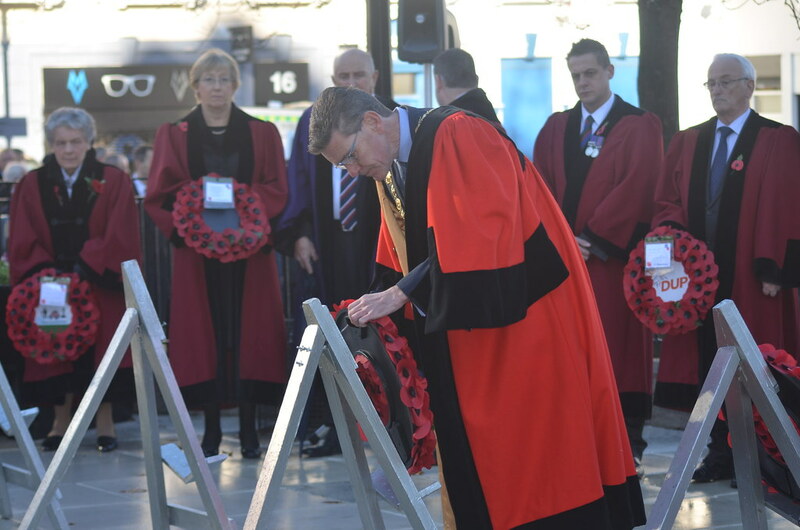 The Mayor, whose grandfather fought with the 36thUlster Division, was among those who laid wreaths, along with Her Majesty’s Lord-Lieutenant for the City of Londonderry, Dr Angela Garvey. 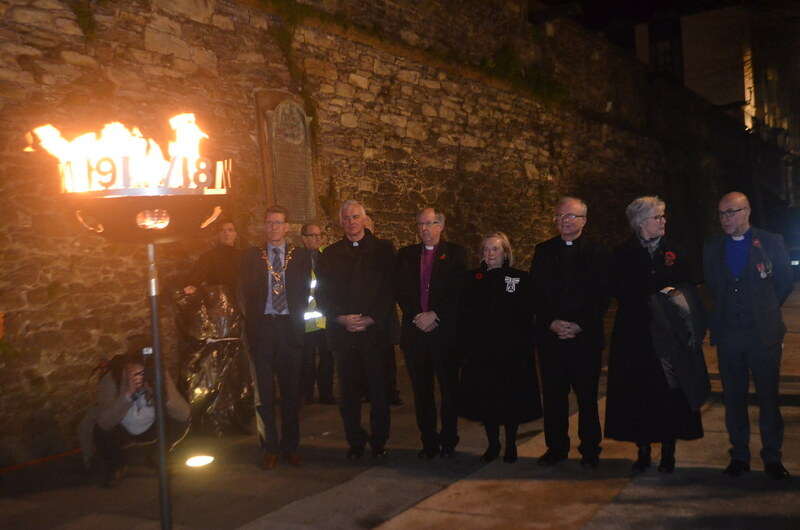 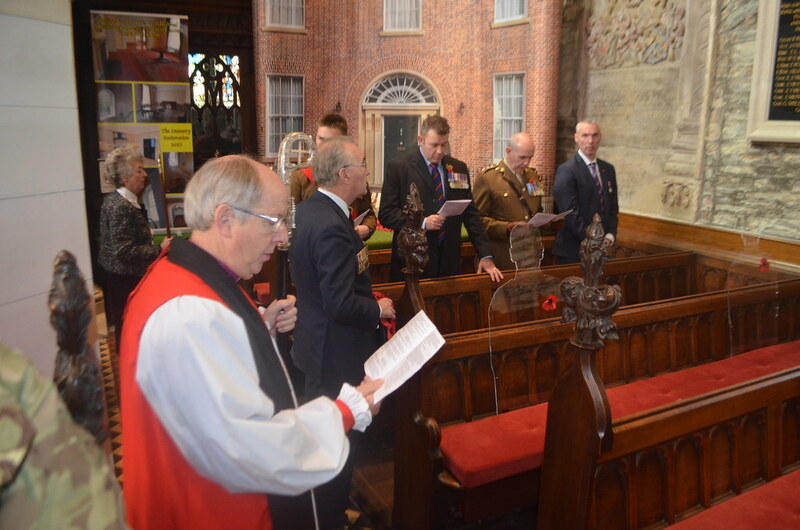 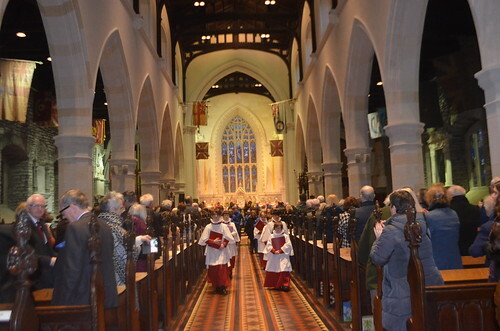 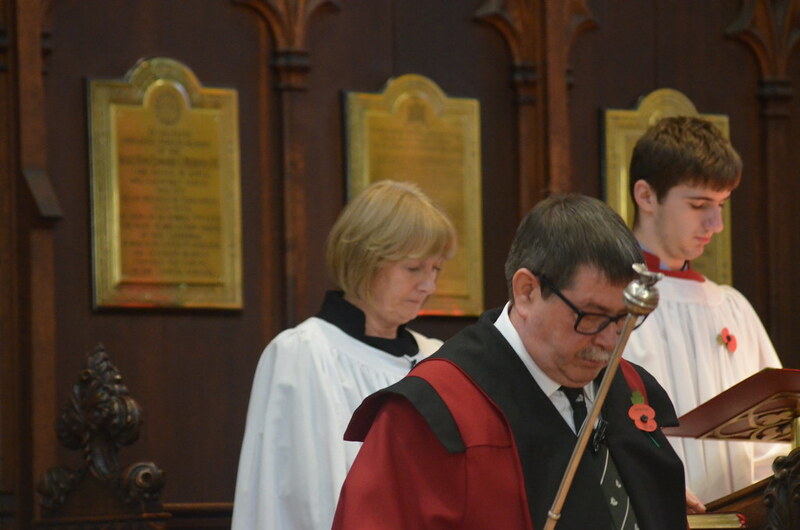 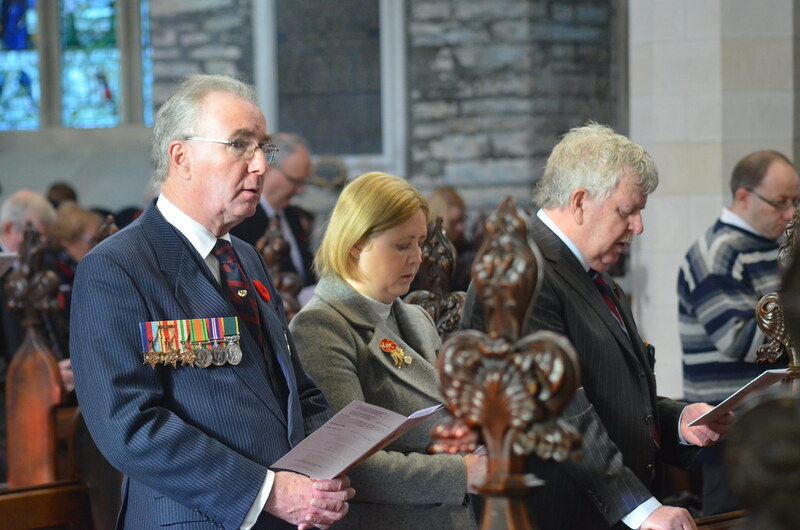 St Columb’s Cathedral held its own Remembrance Service immediately afterwards, to acknowledge the sacrifice of 83 members of its congregation who gave their lives in the war. 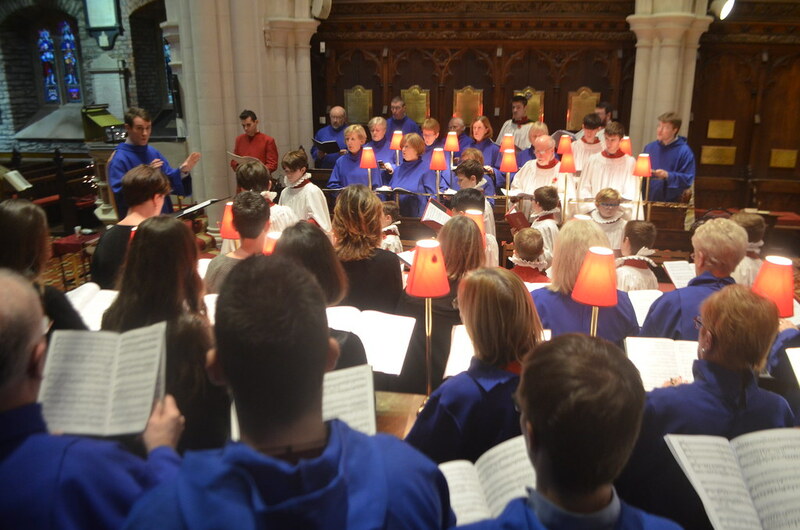 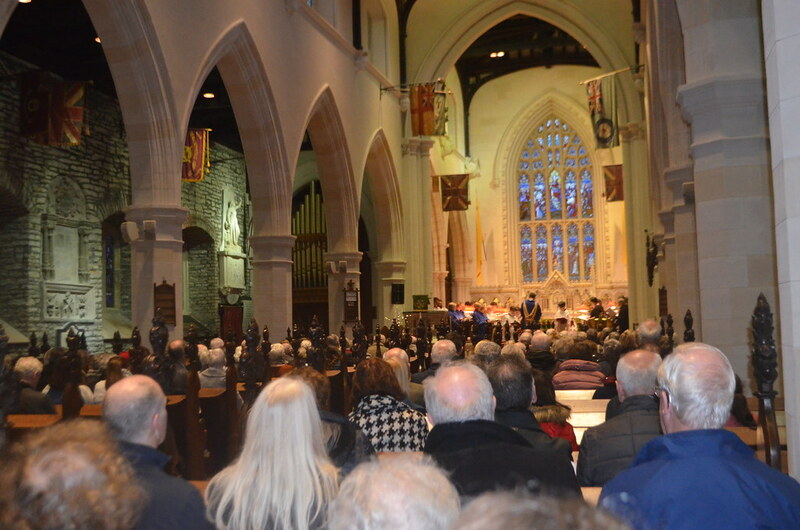 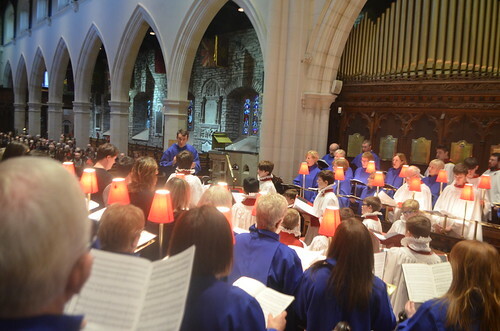 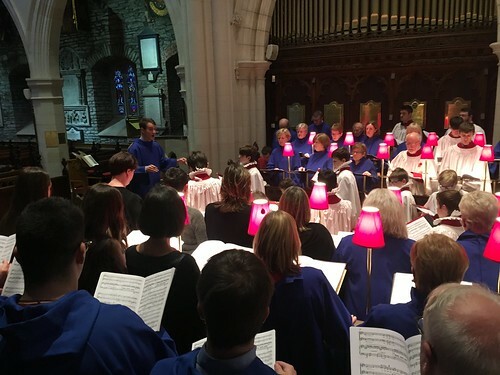 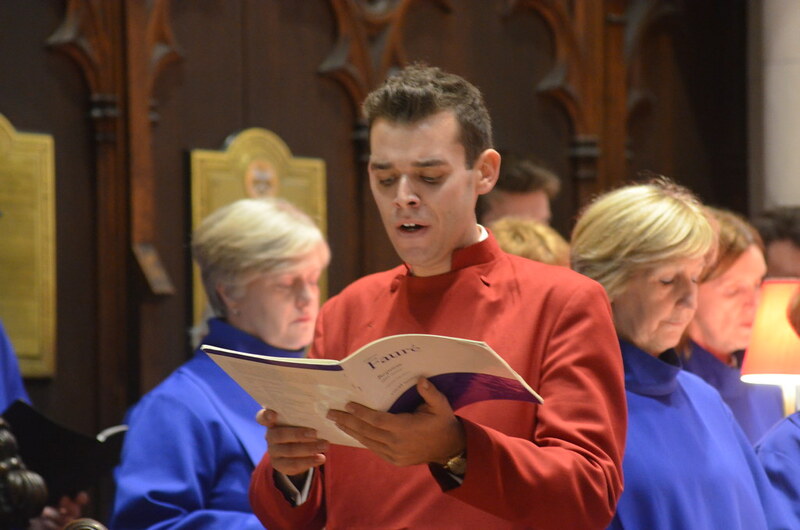 In the afternoon, hundreds of people heard the combined choirs of Saint Eugene's Roman Catholic and Saint Columb's Church of Ireland Cathedralsperform a recital of Fauré’s ‘Requiem’ in the Cathedral. 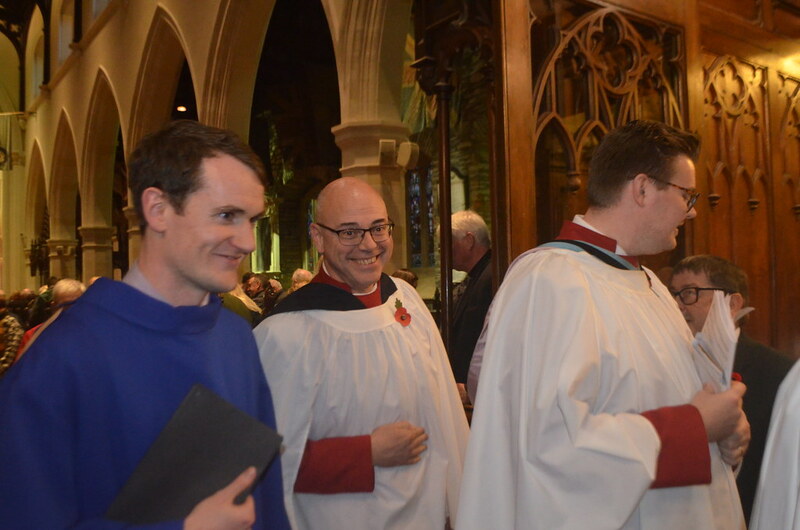 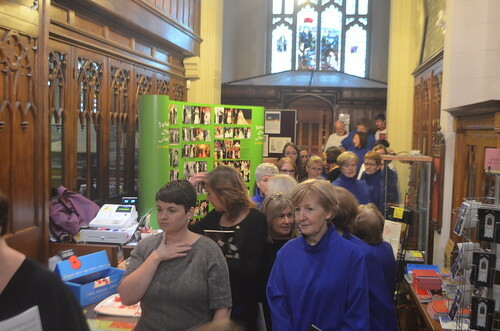 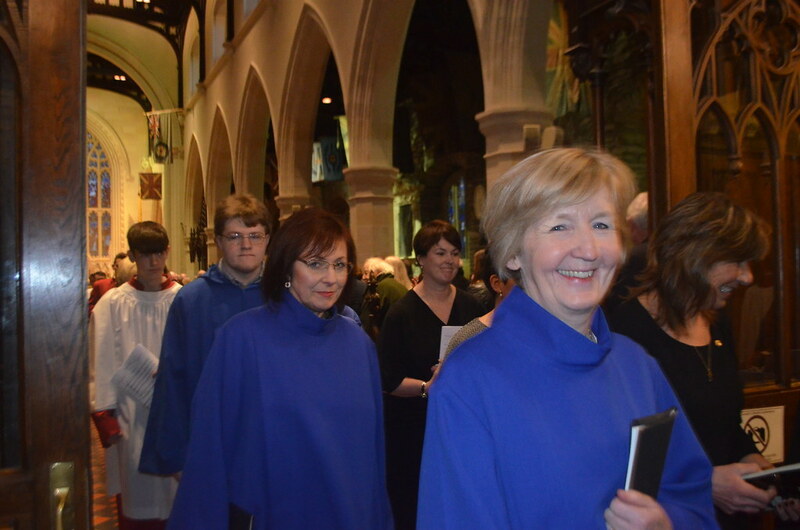 The choirs were conducted by Maghnus Monaghan and the organist was Dr Derek Collins. And in the evening, Bishop Good was one of six prominent clergy from the city who led the Interdenominational Service at the Guildhall. 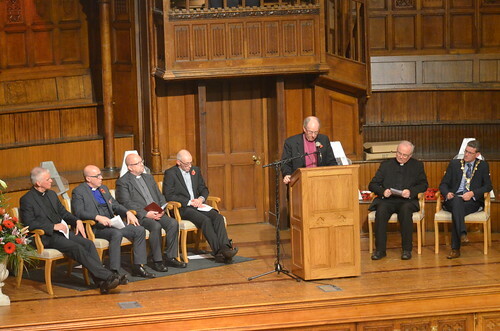 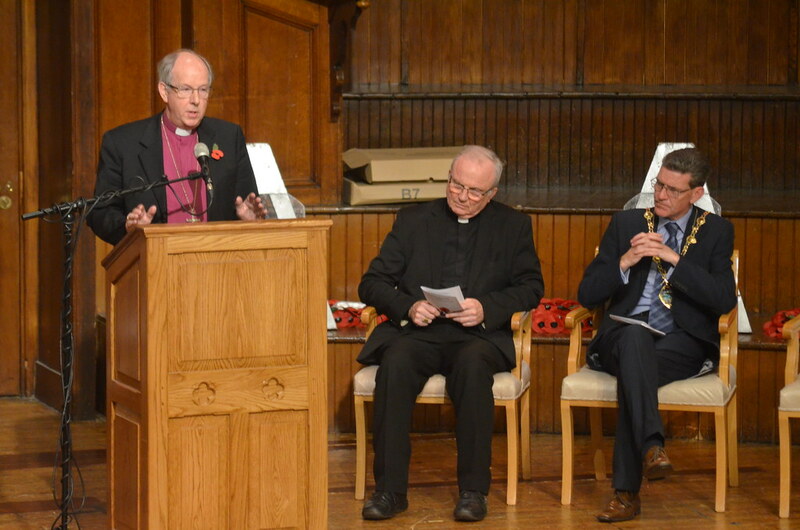 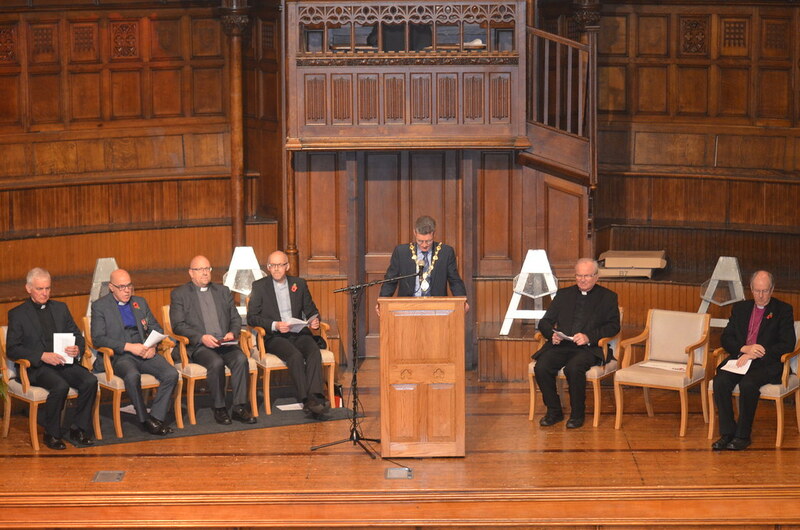 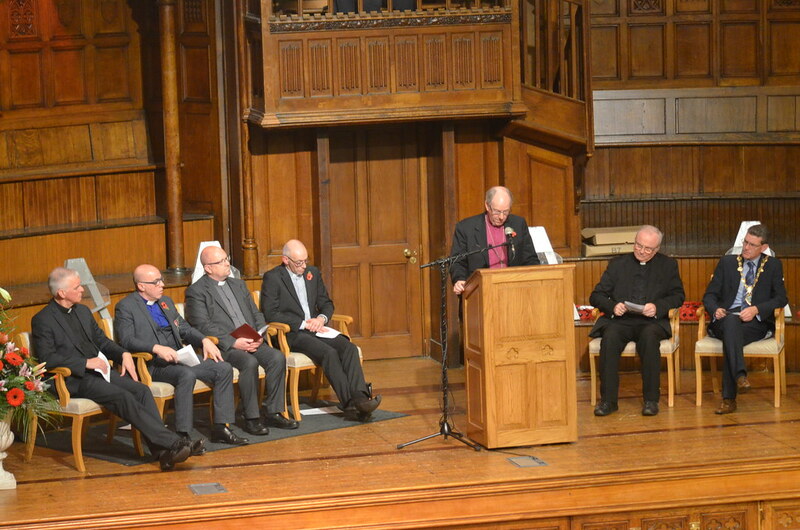 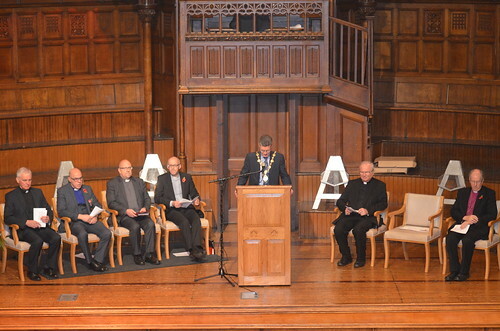 He was accompanied by the Bishop of Derry, Dr Donal McKeown, the Minister of Clooney Hall Methodist Church, Rev Richard Johnston, the Moderator of the Derry and Donegal Presbytery, Rev Paul Linkens, the Rector of All Saints Clooney, Rev David McBeth and the Parish Priest of Waterside, Fr Michael Canny. 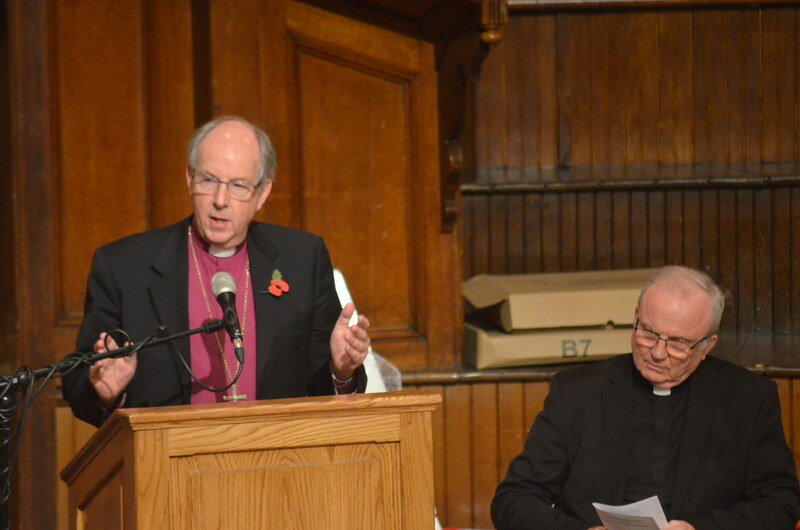 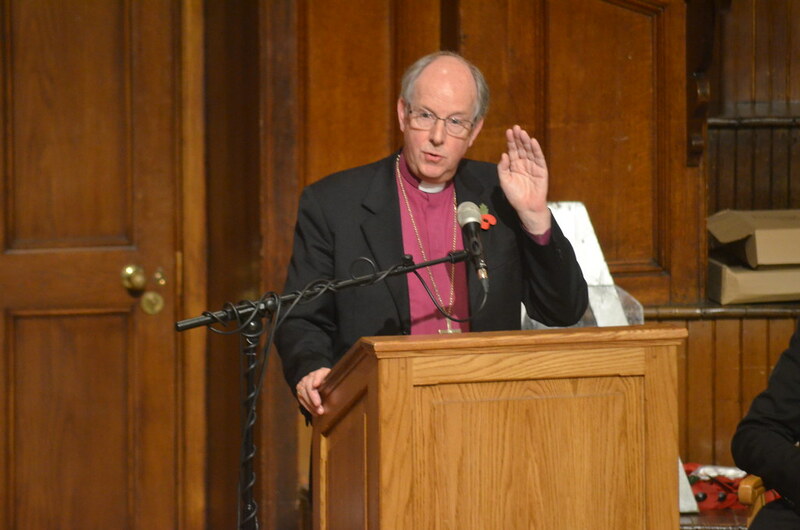 In his address, Bishop Good reflected on the uncertainty in the city exactly a century earlier. 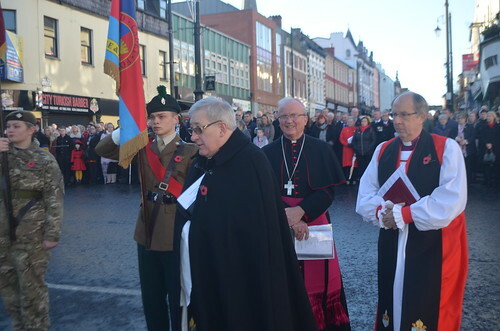 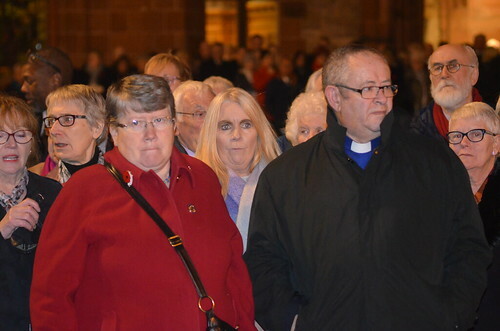 “It has been said many times that in this land and in this city,” the Bishop said, “we have a shared history but that we don’t have a shared memory of it, and that is probably as true at Remembrancetide as it is at any other time. 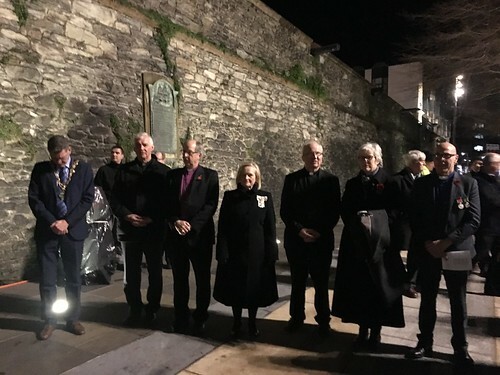 “The reality is,” Bishop Good said, “that a hundred years ago, on this very night, the people of this city held their breath – all of them I would think. Like those in the rest of the world, they were not quite sure about the rumours they were hearing and didn’t know if they could dare to believe that the rumours were true. Bishop Good said he was conscious that they were marking a “global event”. 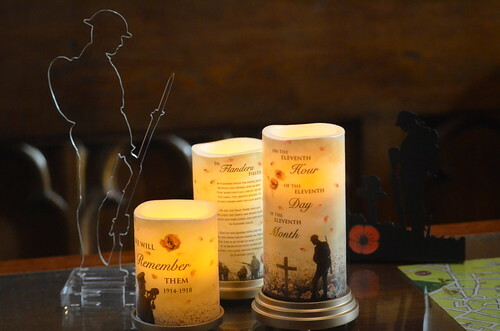 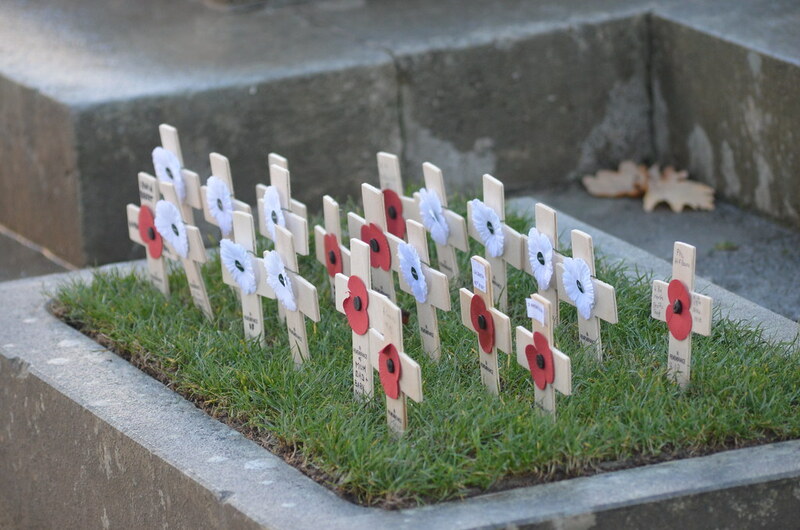 Remembrance events were taking place all over the world, he said, because the reality was that the First World War was an international conflict in which – as well as Great Britain – France, Russia, Italy, Romania, Japan, the United States, Germany, Austria-Hungary, Bulgaria and the Ottoman empire were all involved. Coming nearer home, he said, “I don’t know about the numbers (it’s hard to pin them down), but it does seem as if 215,000 – men mainly, but also women – from the island of Ireland went to war, over 40,000 of whom died, right across traditions, denominations and social backgrounds. 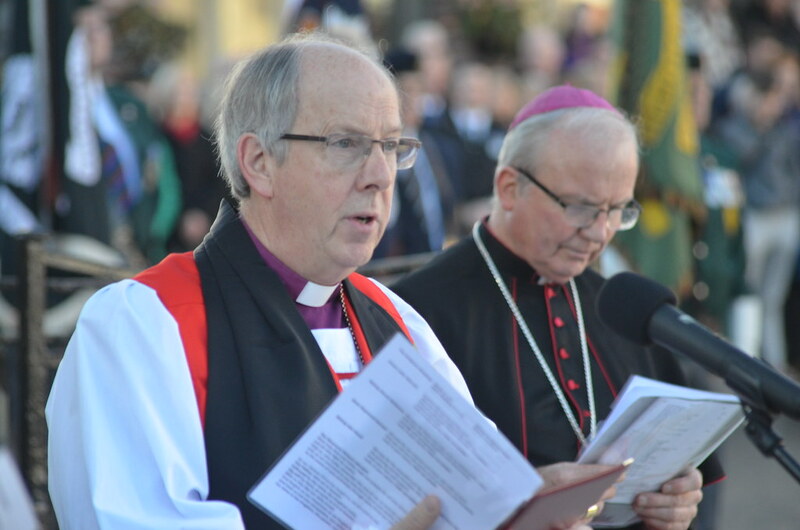 It had a major impact on the island of Ireland. 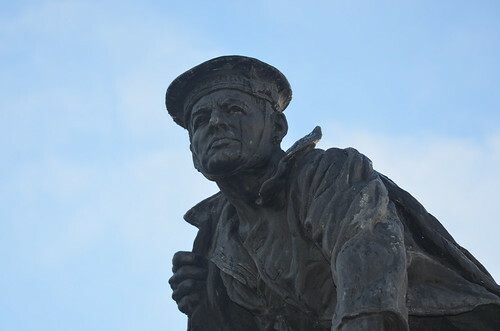 “And then, when we come closer to home, 5,000 people, it seems, from this city alone volunteered for duty and over a thousand of them never came home. 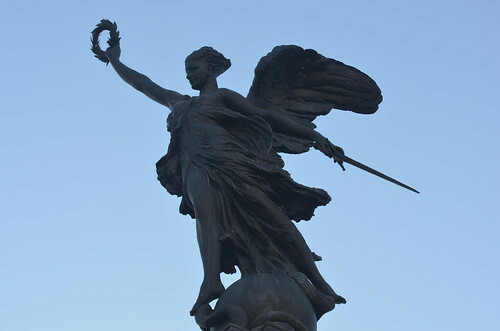 I think I’m right in understanding that 48% of that number were from the Roman Catholic tradition or nationalist tradition. 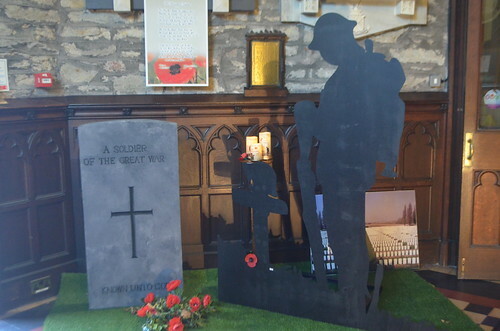 The impact was immense. 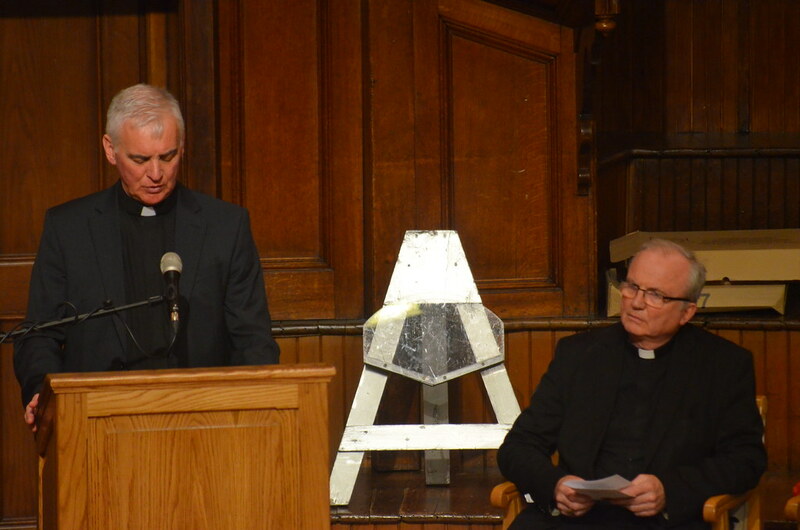 “These reflections are sobering for me,” Bishop Good said. 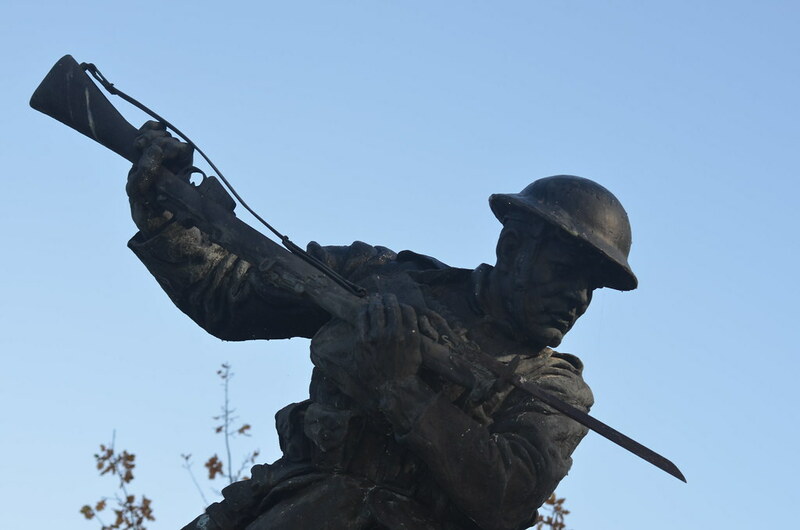 “They are moving. 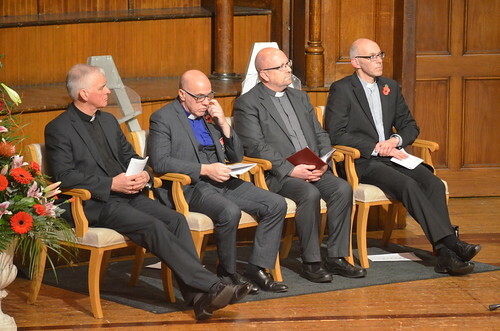 They’re disturbing. 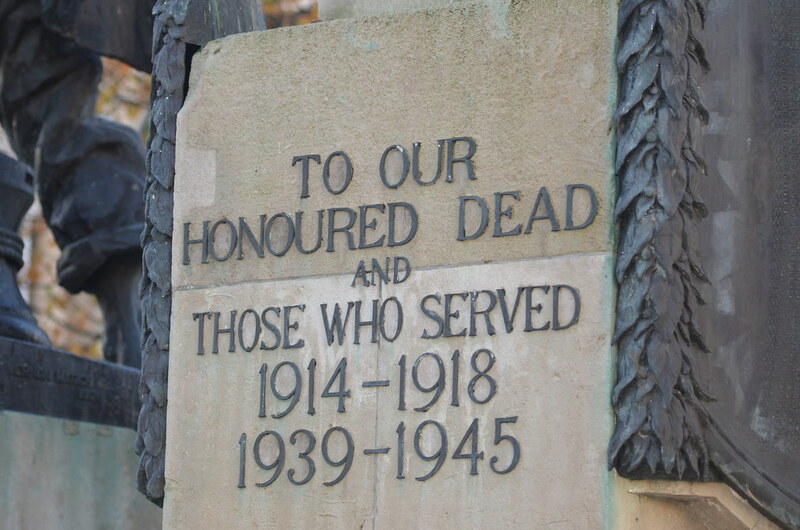 I do feel thankful for the sacrificial bravery of so many. 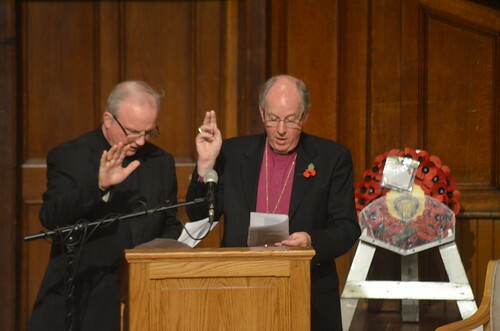 I also feel a sense of responsibility. “Jesus said in the reading that Fr Canny read that the Lord has appointed us so that we might bear fruit, fruit that will last in loving one another. We are alive now, a hundred years later, for a reason. We have a calling, we have a responsibility to serve where God has placed us, to bear fruit – fruit that will last. 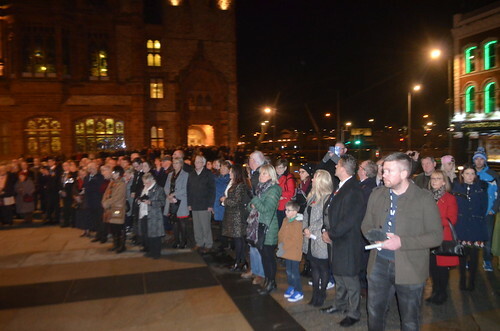 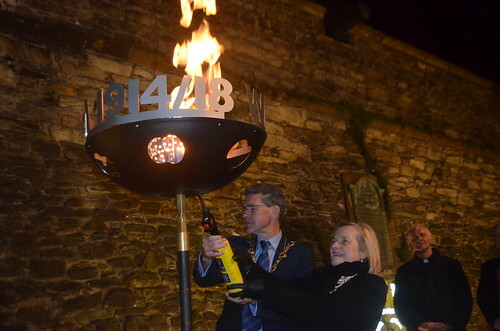 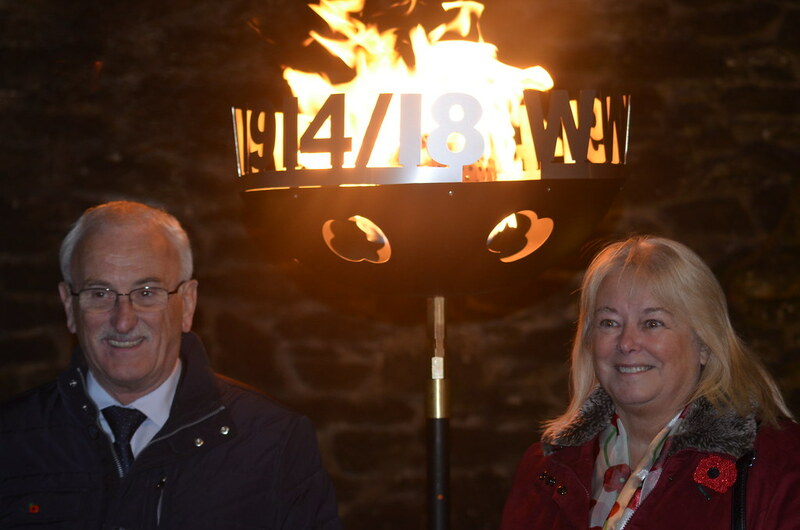 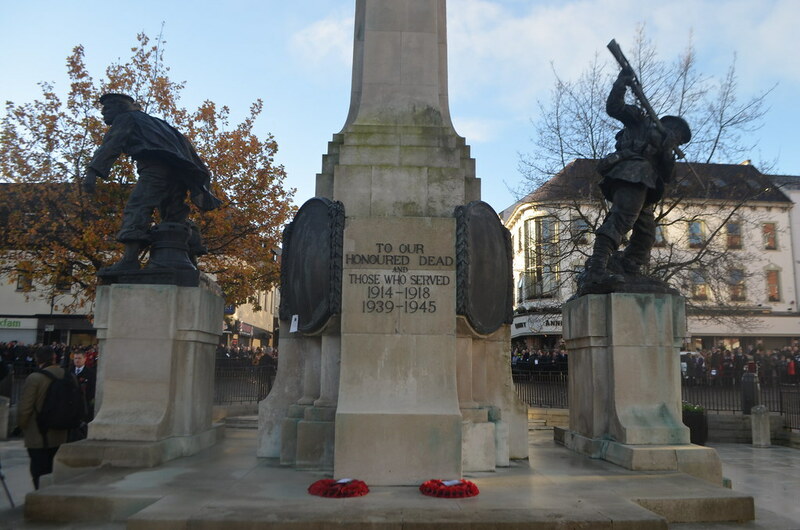 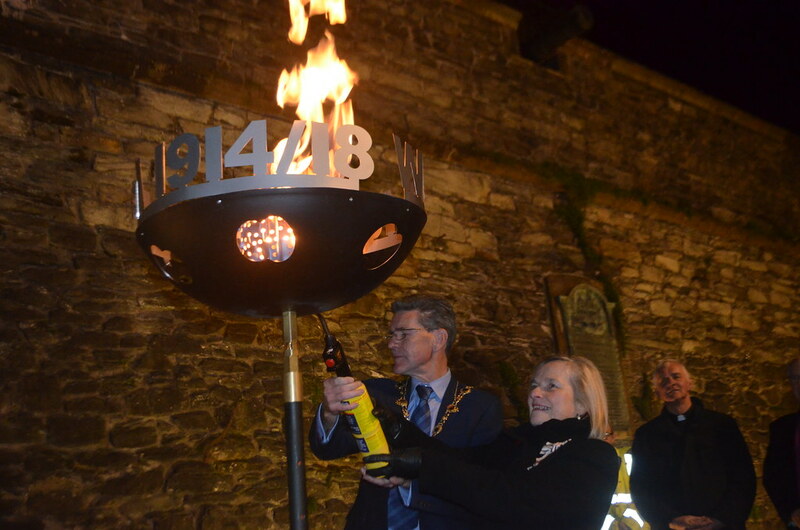 After the Service, those present moved into the Guildhall Square where a lone piper played a lament before, on the stroke of 7pm, the city’s Lord-Lieutenant and the Mayor jointly lit a beacon. 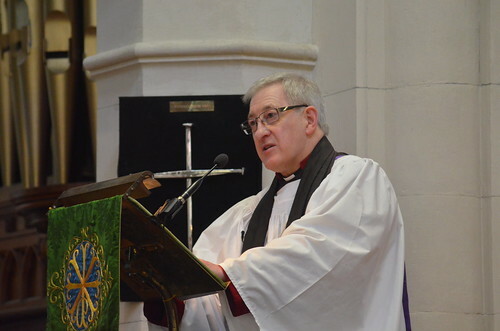 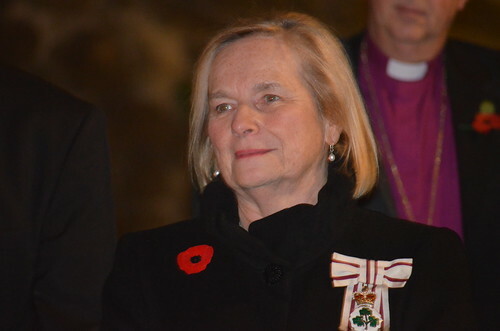 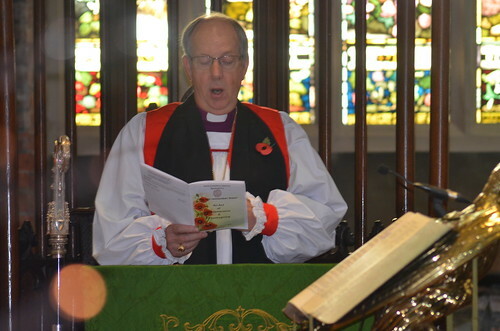 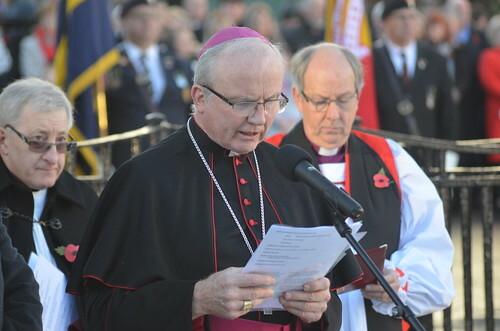 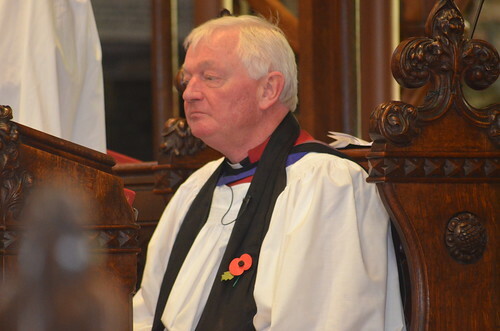 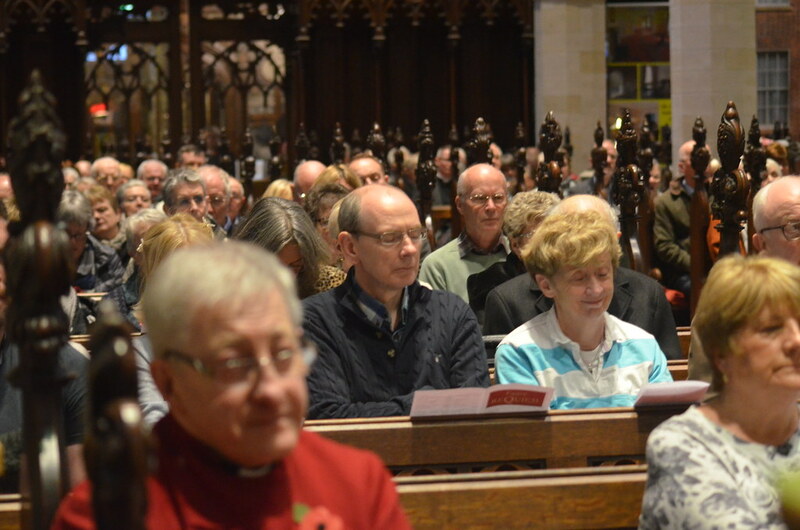 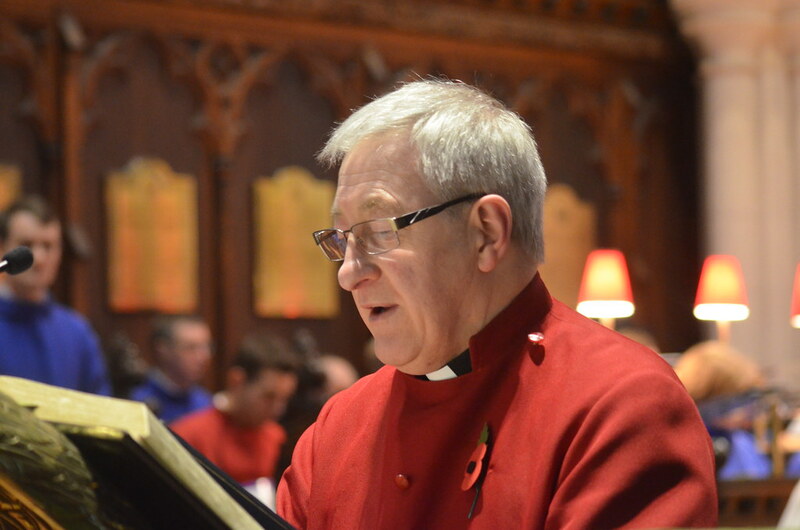 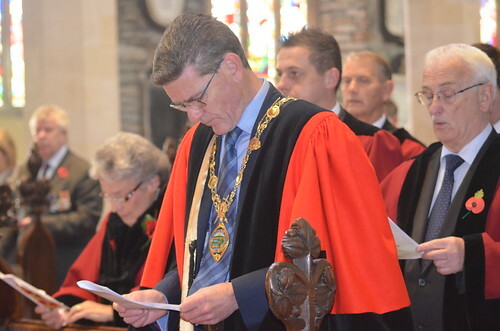 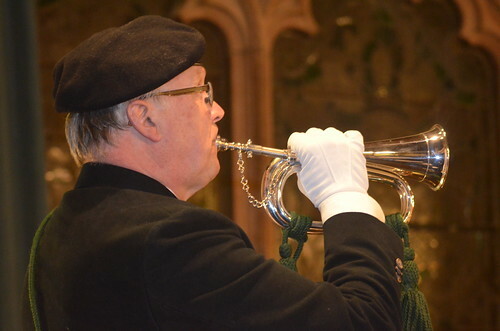 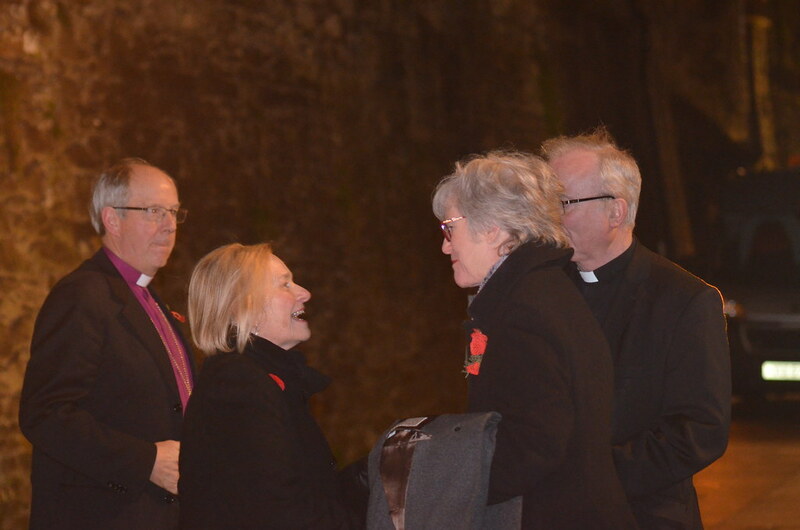 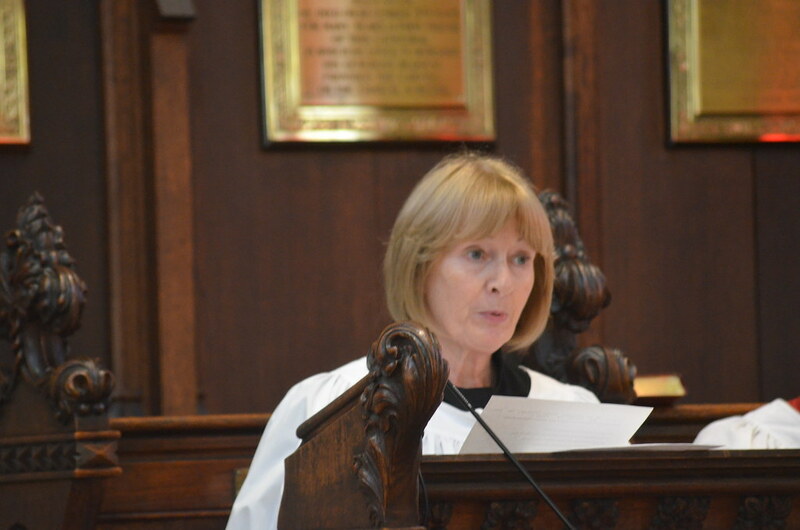 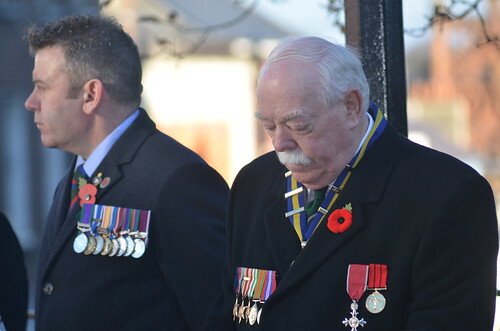 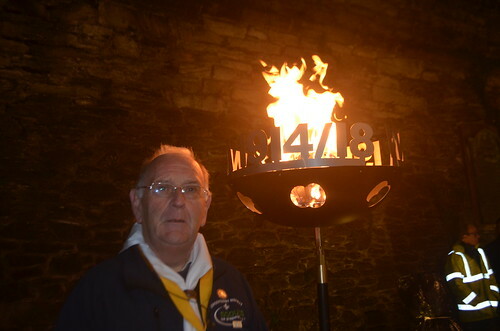 Just over seven hours earlier, at St Columb’s Cathedral’s annual Remembrance Service, Dean Raymond Stewart told his congregation there was a “unique aspect” to their remembering this year because as well as remembering those from the parish and city who died in situations of conflict they were also commemorating the 100th anniversary of the ending of the First World War. 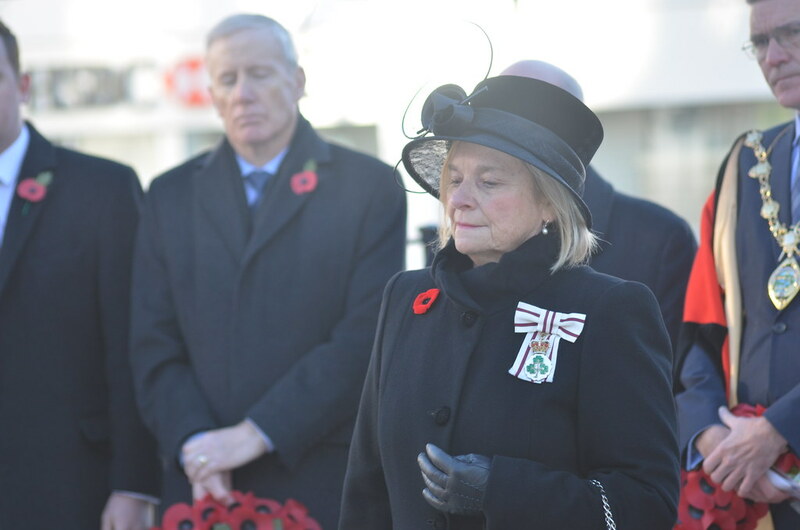 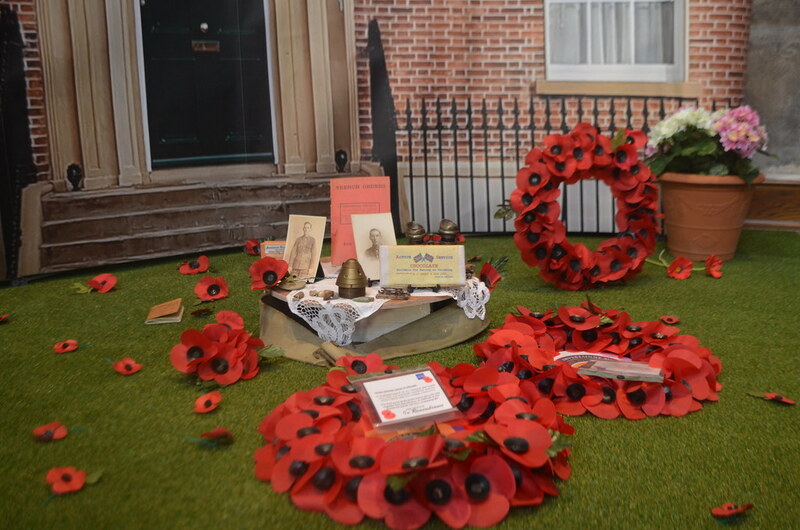 “I try, with some difficulty, to imagine what that must have been like for so many wives and mothers – including my own great grandmother, whose son was killed in action on 18th September 1917, aged 25 years. 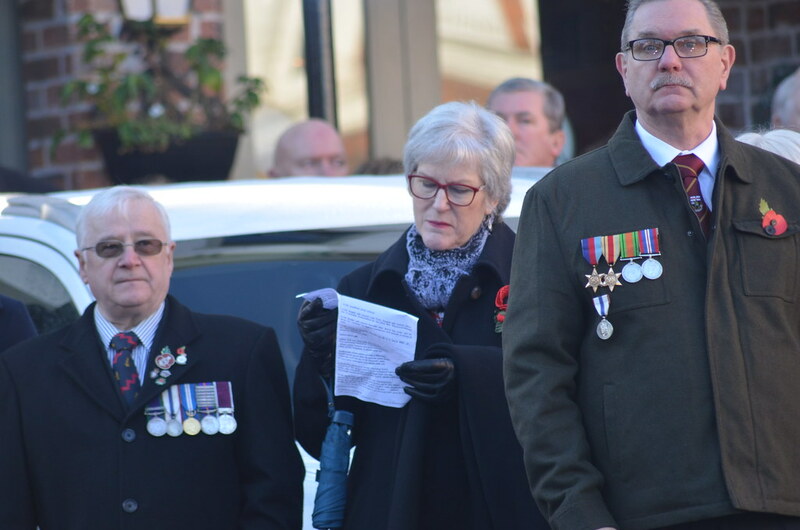 “When my great-uncle George enrolled for service, he, like many of the men at the time, had to write and sign an informal will in which he stated, ‘In the event of my death I leave all my effects to my mother’. 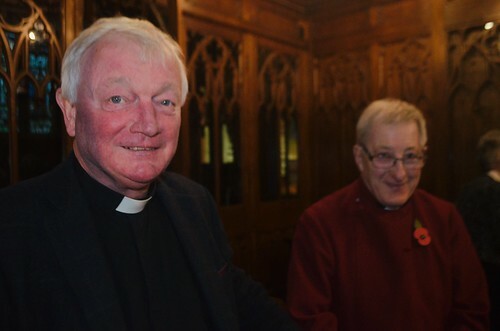 “I wondered why he didn’t say ‘mother and father’ until I looked again at family papers and found that his father had died two years previously aged 58 years. 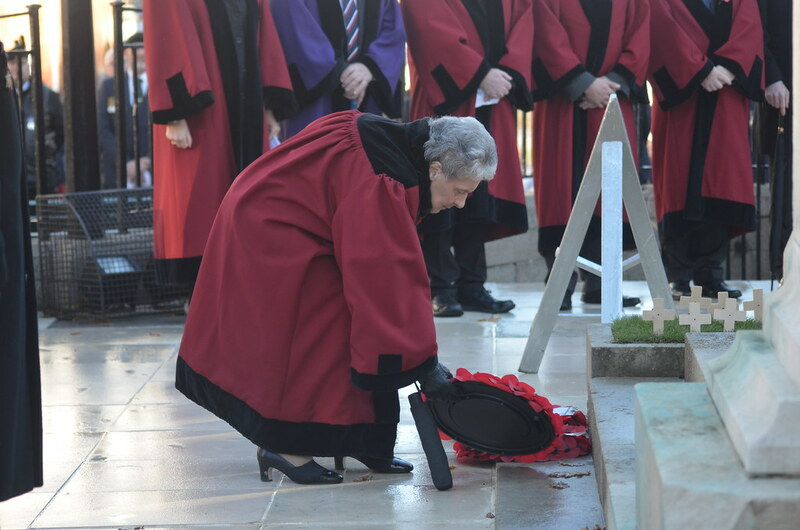 So here was this woman – my great grandmother – aged 52 years who had to maintain her home and family life. In her case, her other two children were grown up and were able to contribute to the stability of home life but, for me, it paints a picture of how stressful life must have been for the wives and mothers 100 years ago. 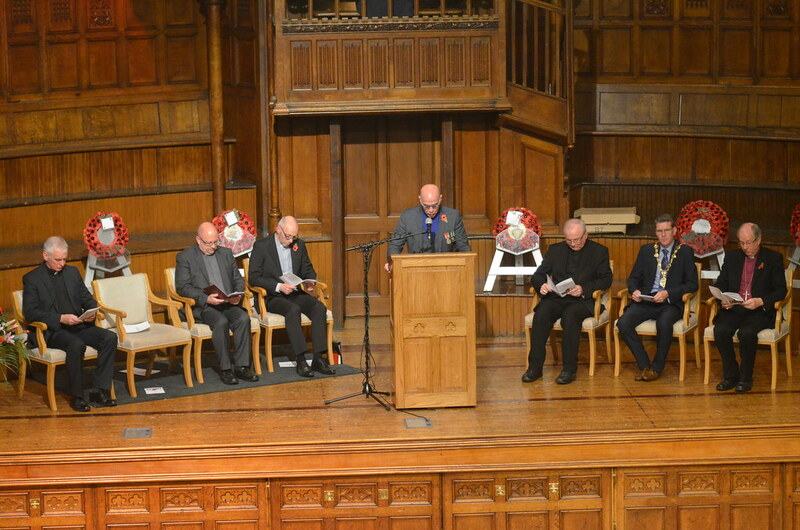 Dean Stewart said on this Remembrance Sunday they should also acknowledge how the Armistice – the treaty of peace – came to be signed at 5.00am on Monday 11th November, 1918, by representatives of France, Great Britain and Germany. 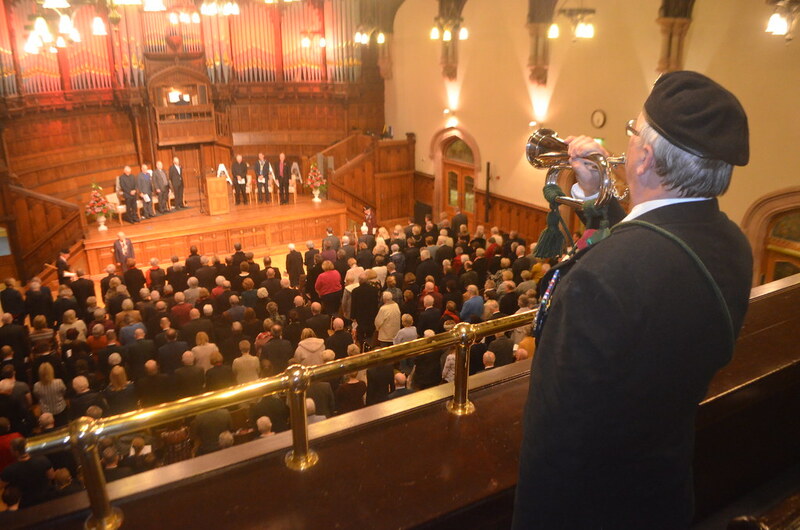 Given its significance, he said, one might have thought that it would have been signed in some Embassy and welcomed with a fanfare of applause. 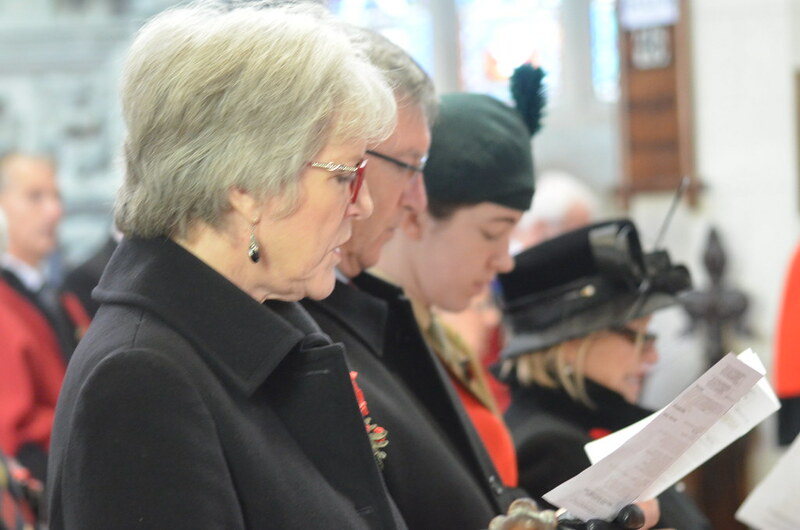 But, instead, the Armistice was signed secretly, in a railway carriage at a remote location in the Forest Glade of Compiegne. 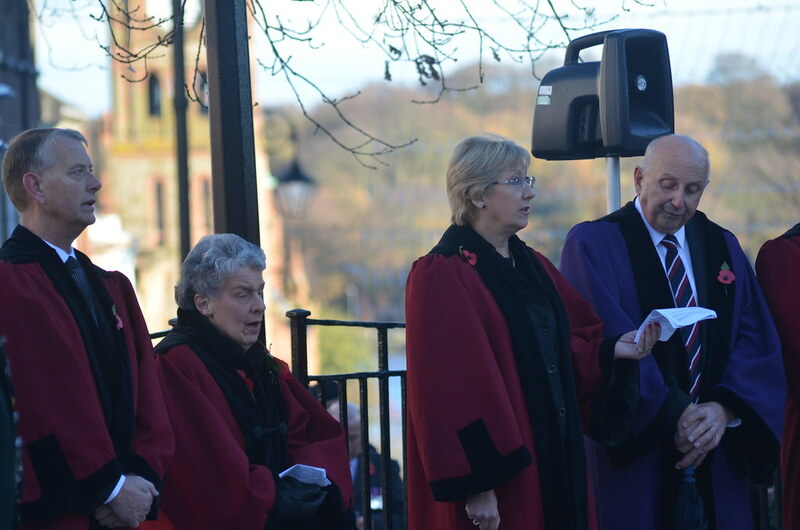 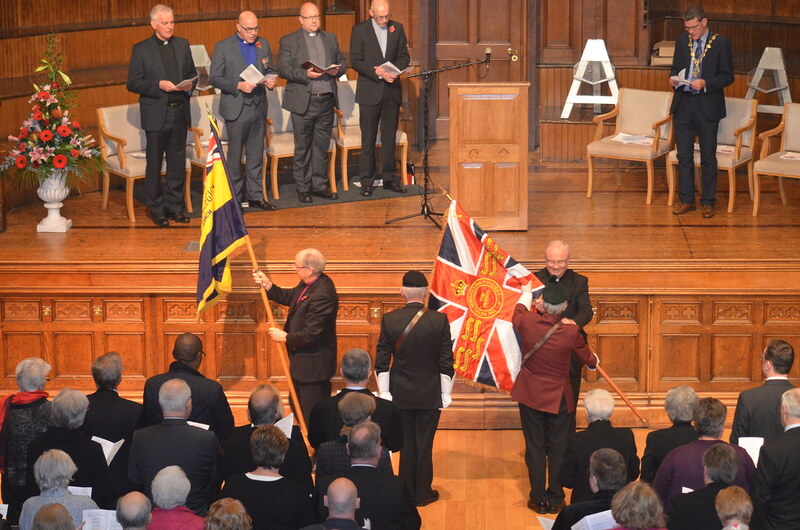 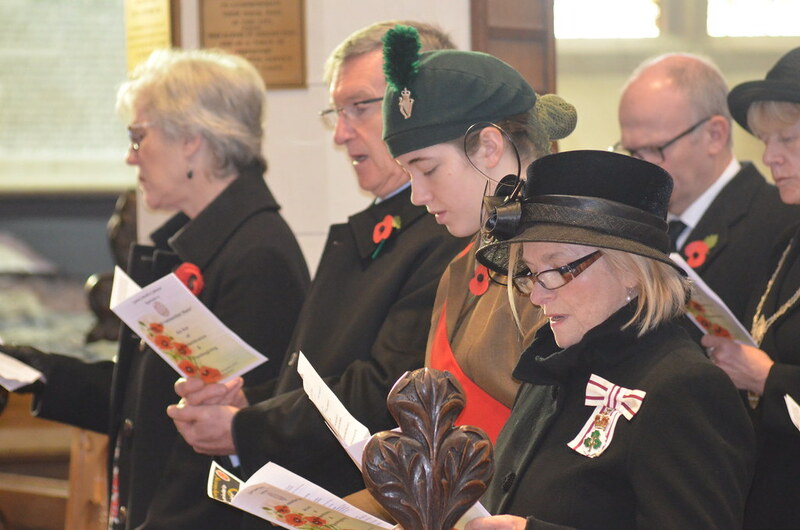 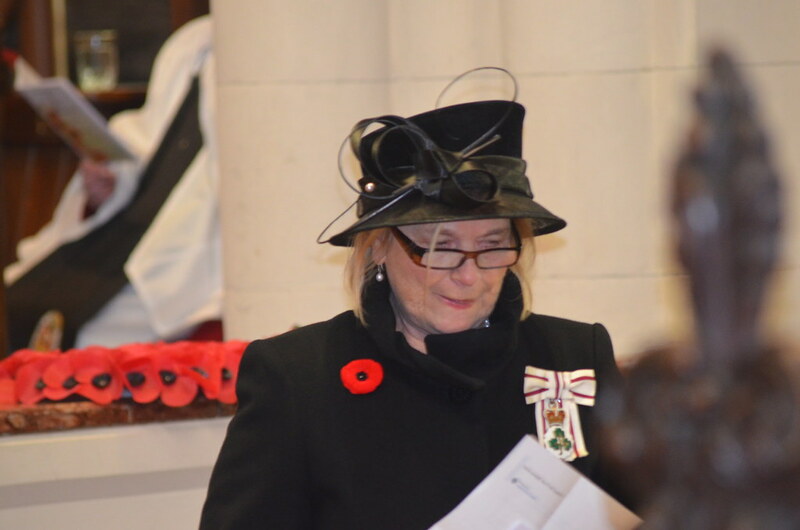 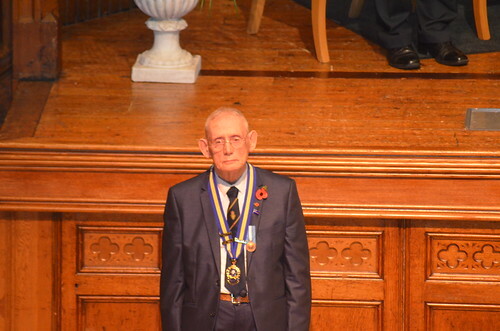 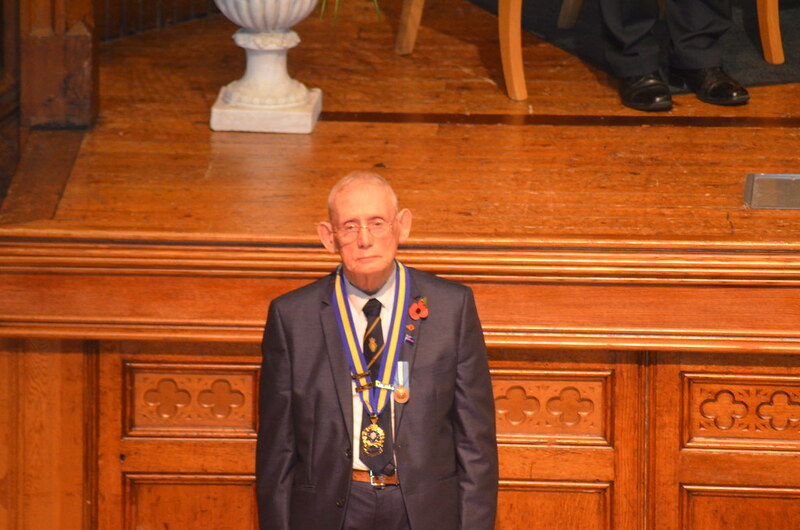 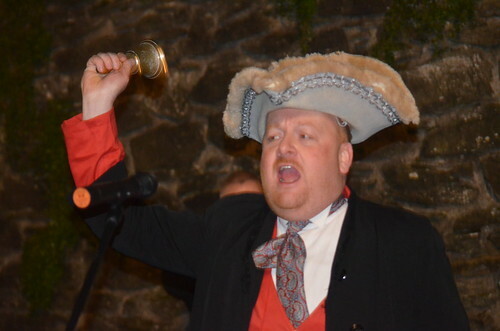 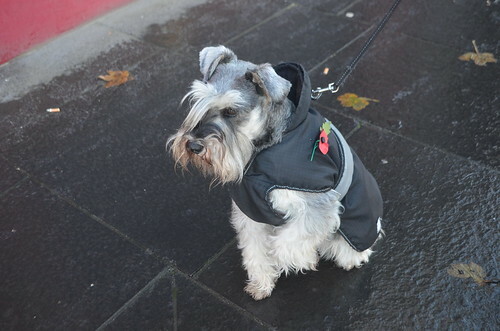 News of the armistice was greeted with nationwide celebrations, Dean Stewart said and church bells rang out. 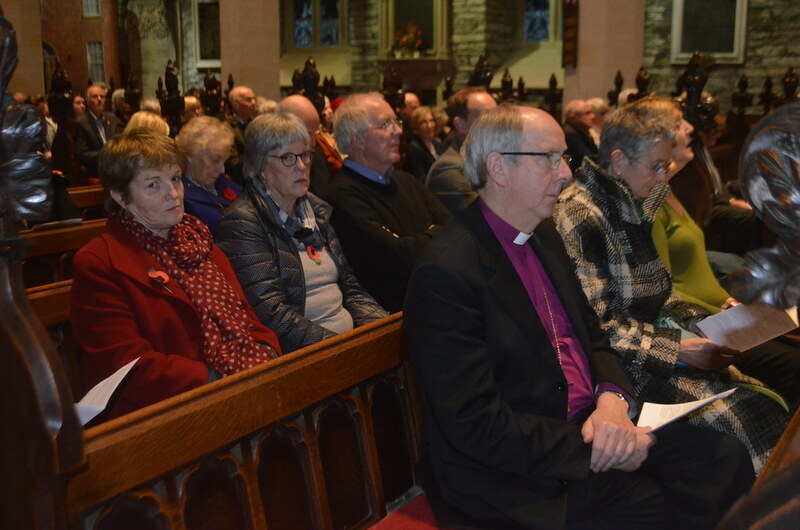 In the Parish of Templemore, St Columb’s Cathedral and the city, the mood was similar to that experienced in other parts of the country and throughout the world. A spirit of hope replaced a spirit of despair, a spirit of joy replaced a spirit of sadness, and faith in the God who hears and answers prayer was a recurring theme in prayers of gratitude and thanksgiving. 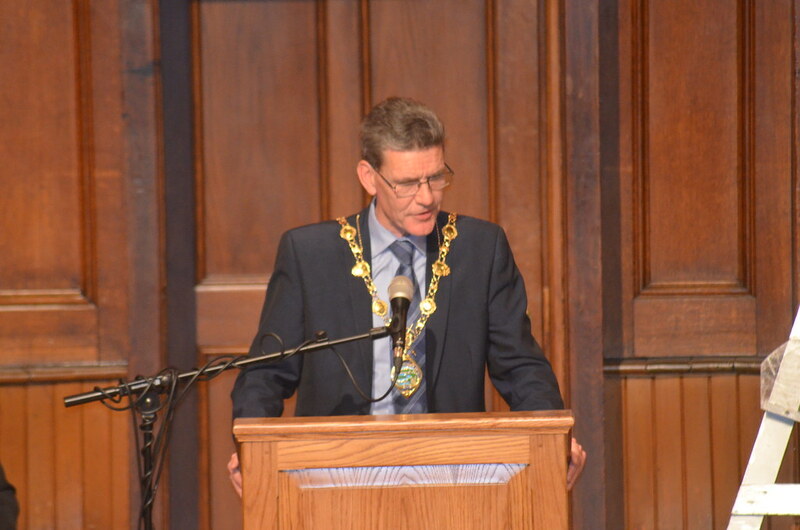 It was a dream, the Dean said, but dreams can become realities if people have the desire and the resources to allow positive things to happen.